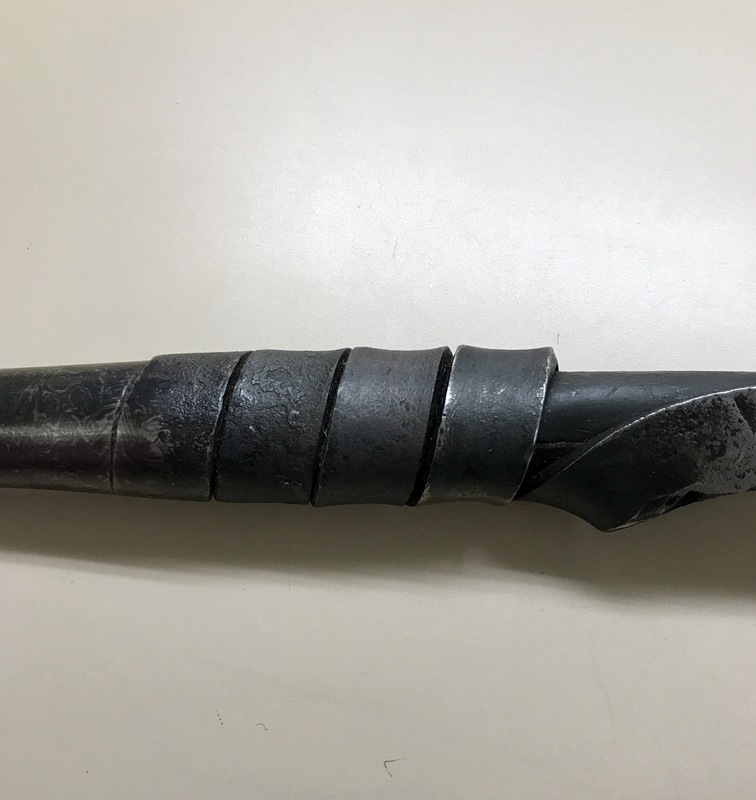 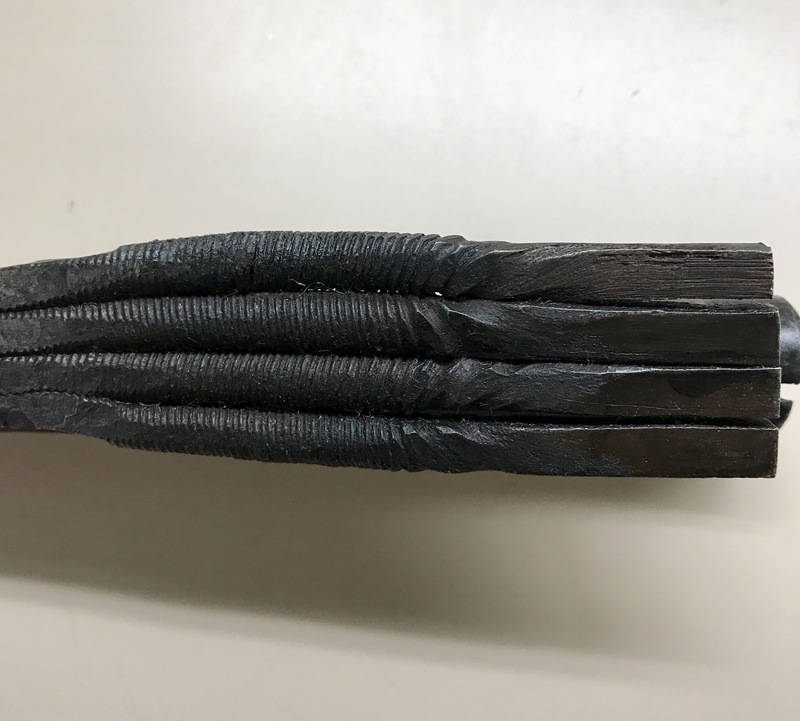 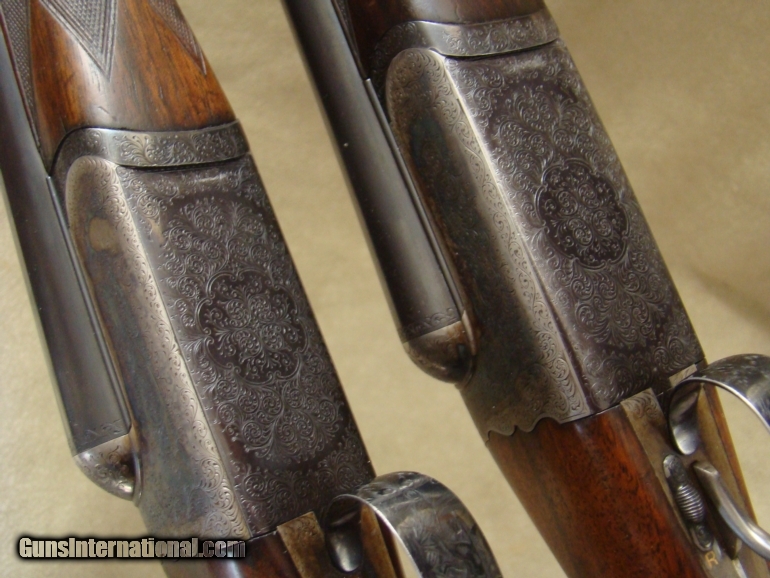 I love old doubles, and a big reason why is their damascus barrels. 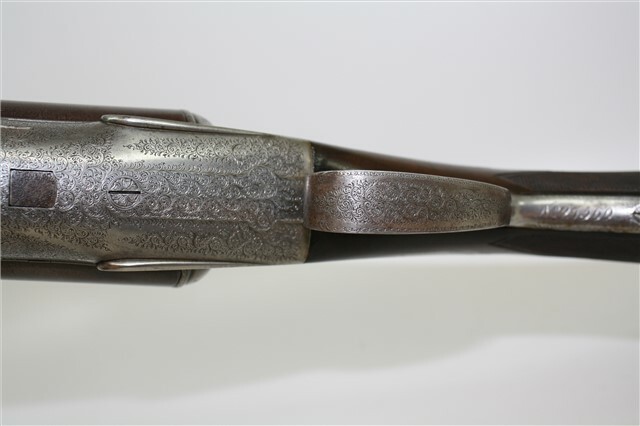 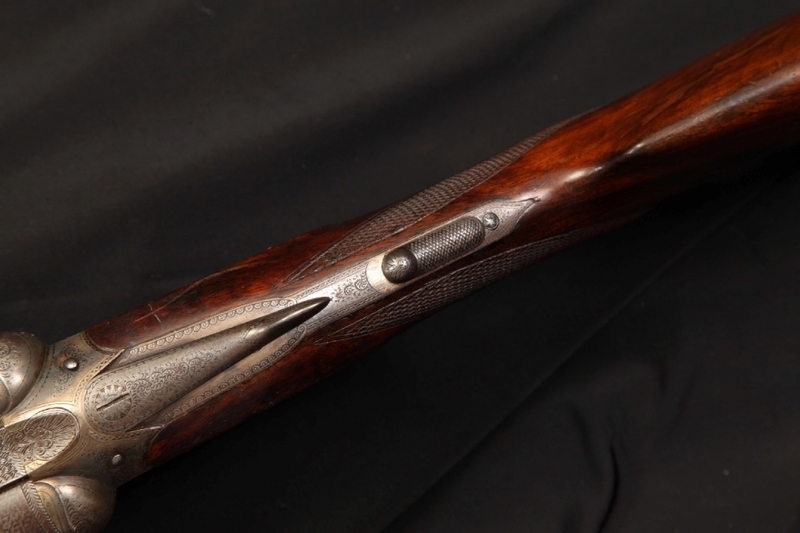 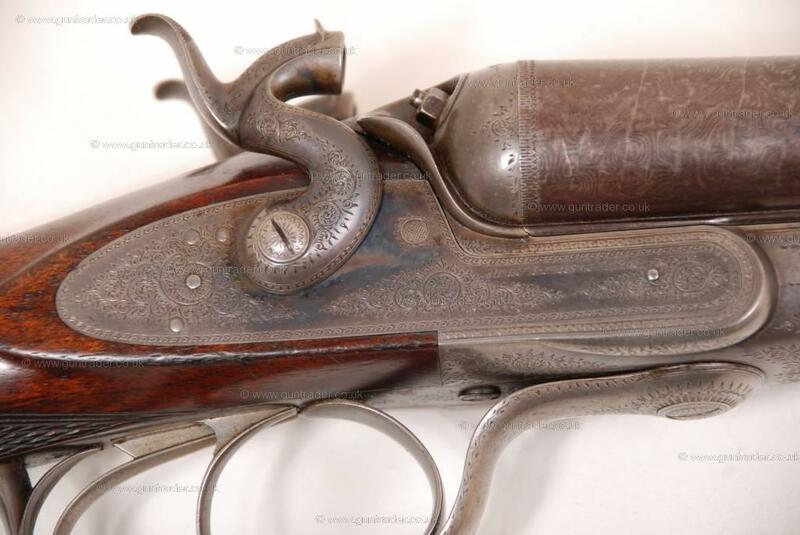 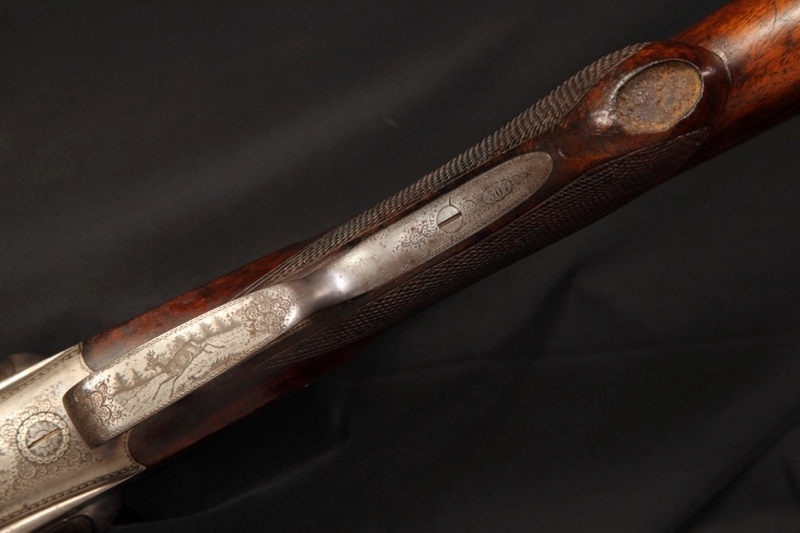 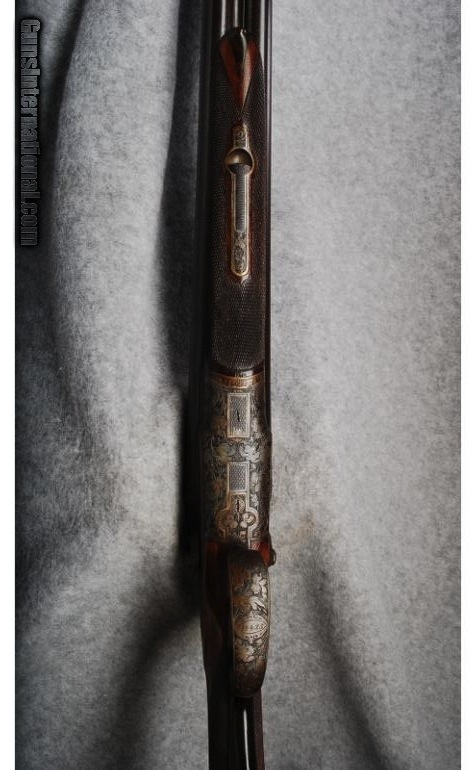 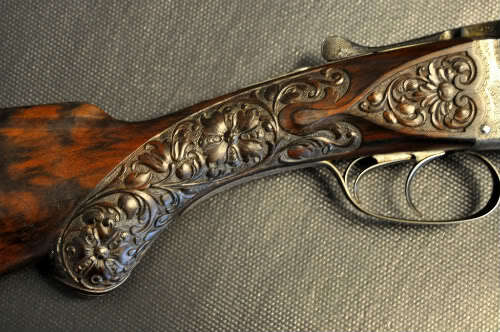 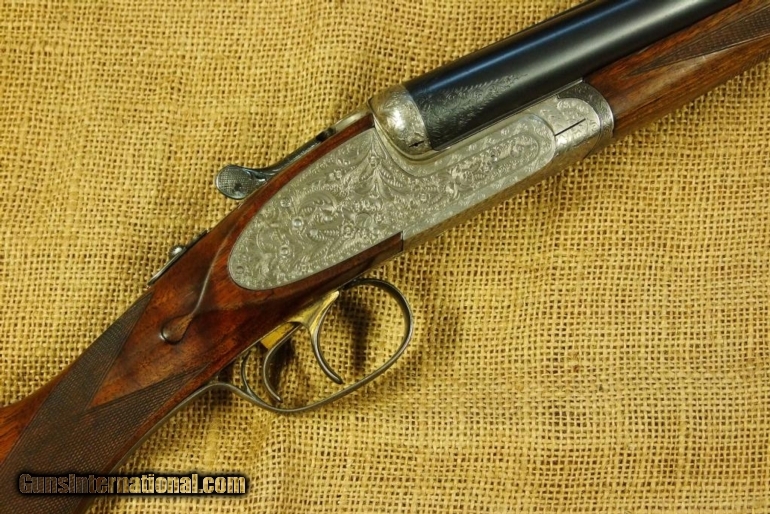 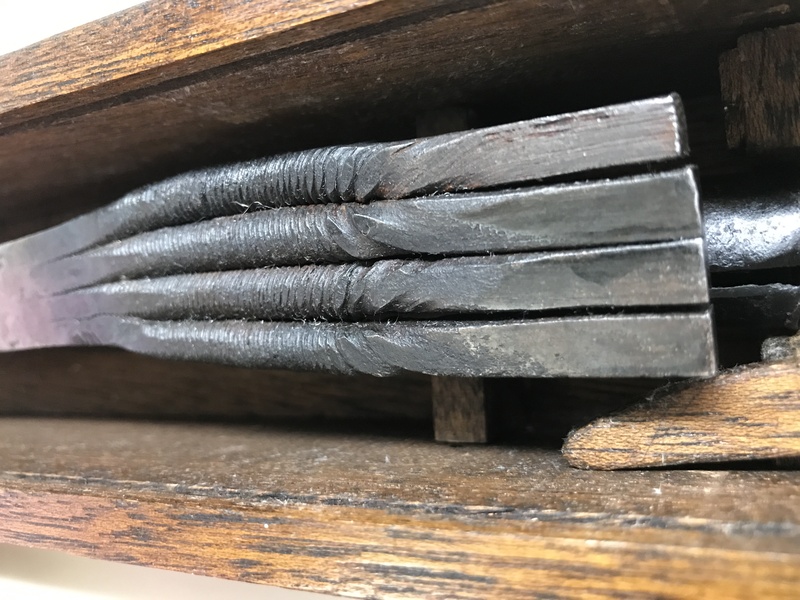 Gunmakers started using damascus in the 1500’s. 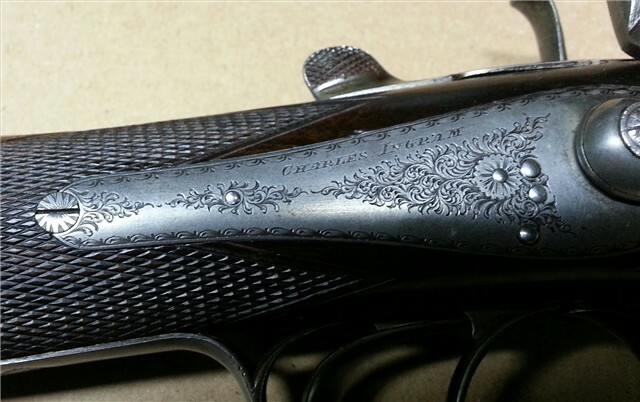 By the mid 19th century, barrels built from it were the absolute finest available and incredibly beautiful. 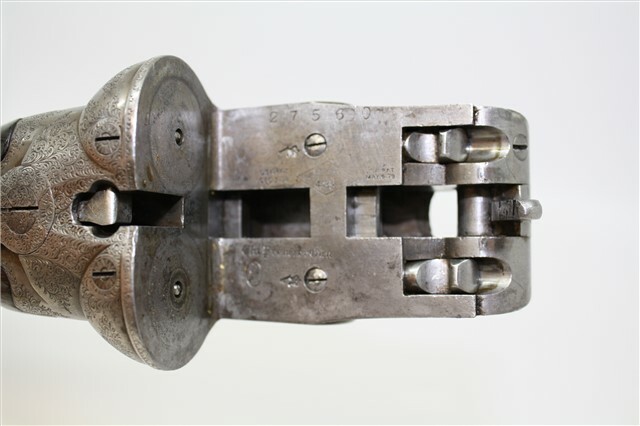 They were also tough to make, requiring a ton of time, manual labor, and skill. 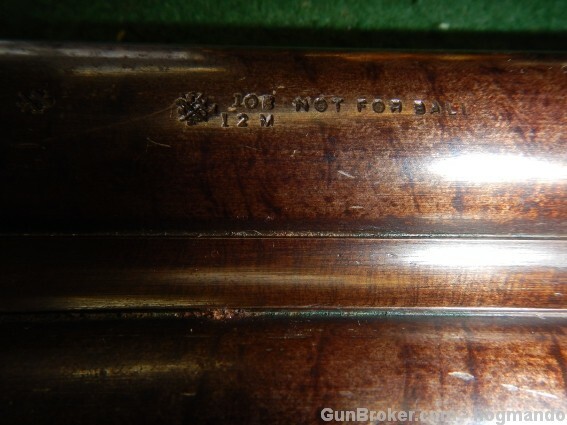 Consequently, they were by far the most expensive part of a gun. 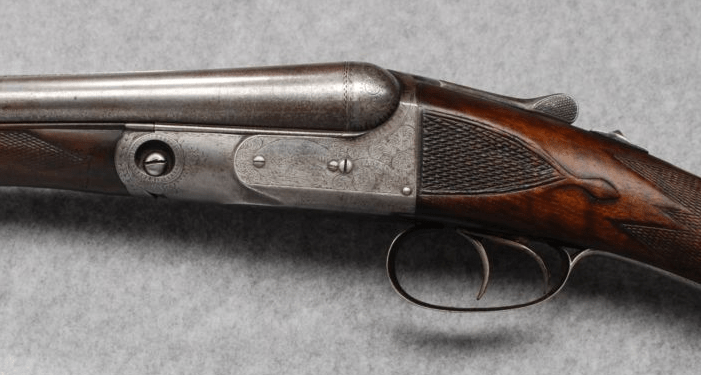 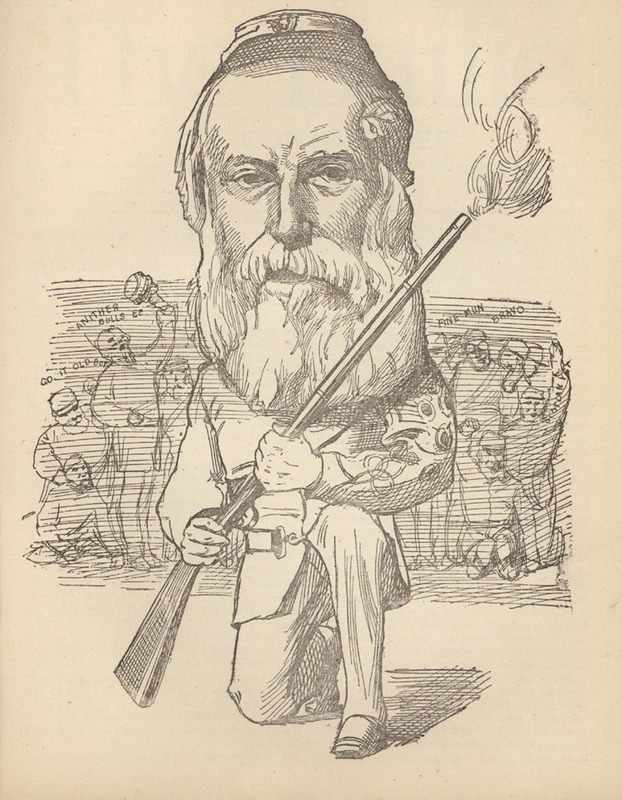 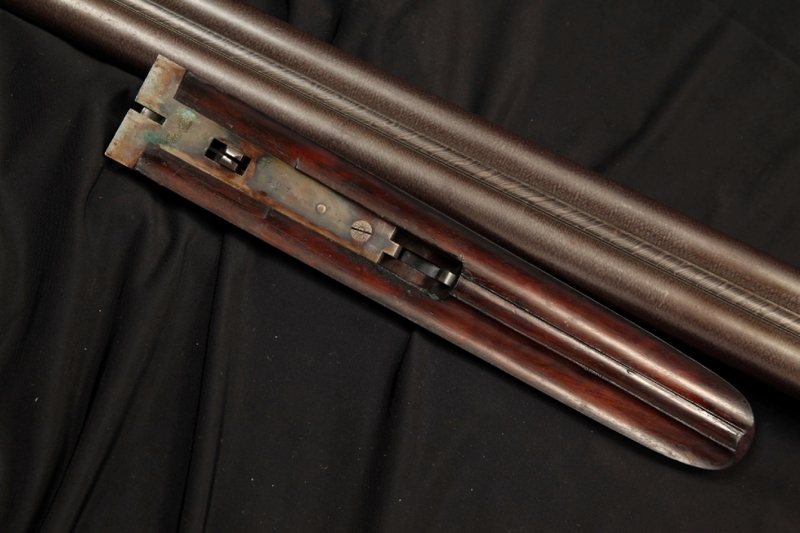 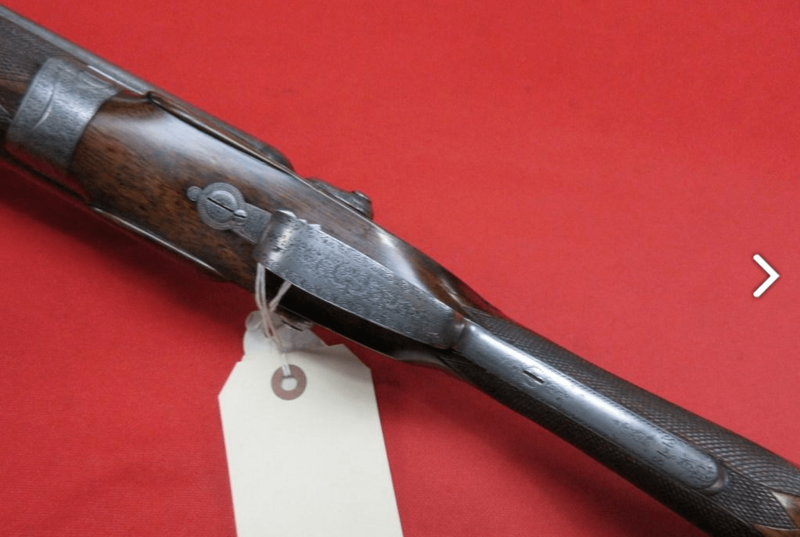 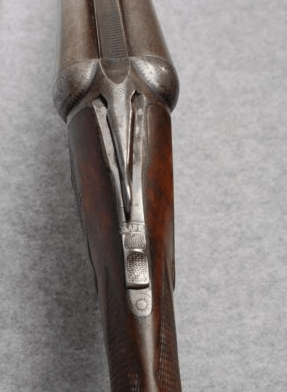 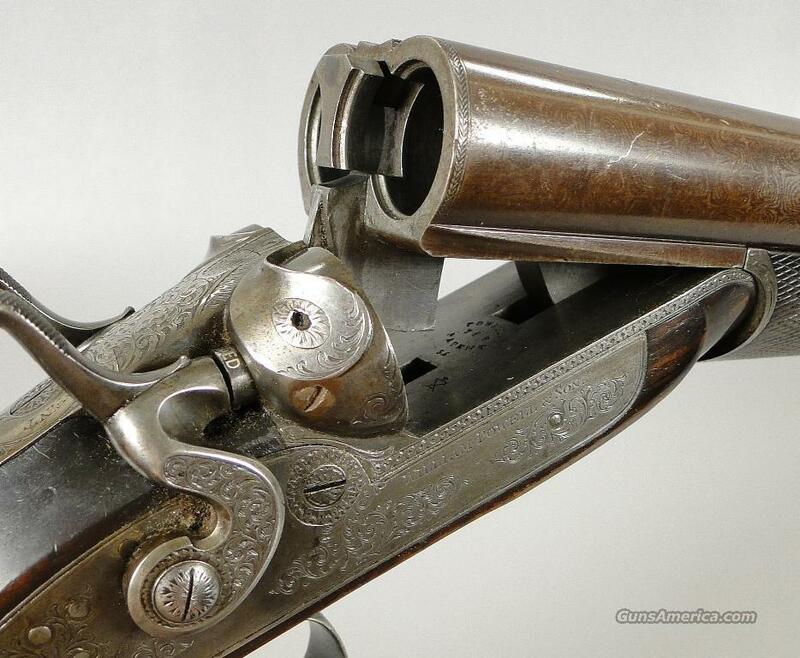 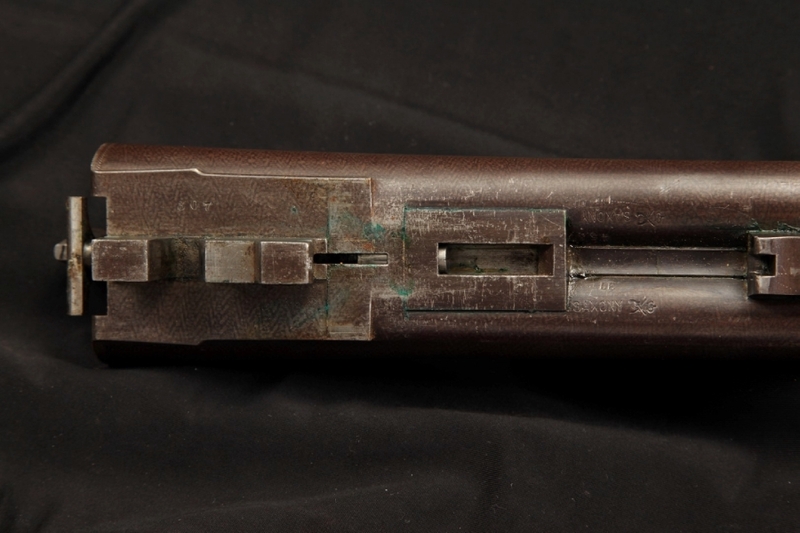 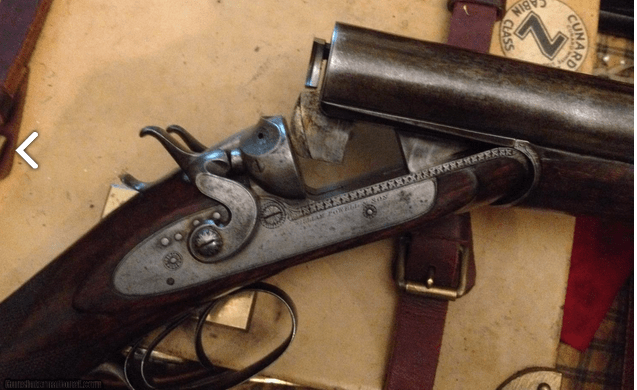 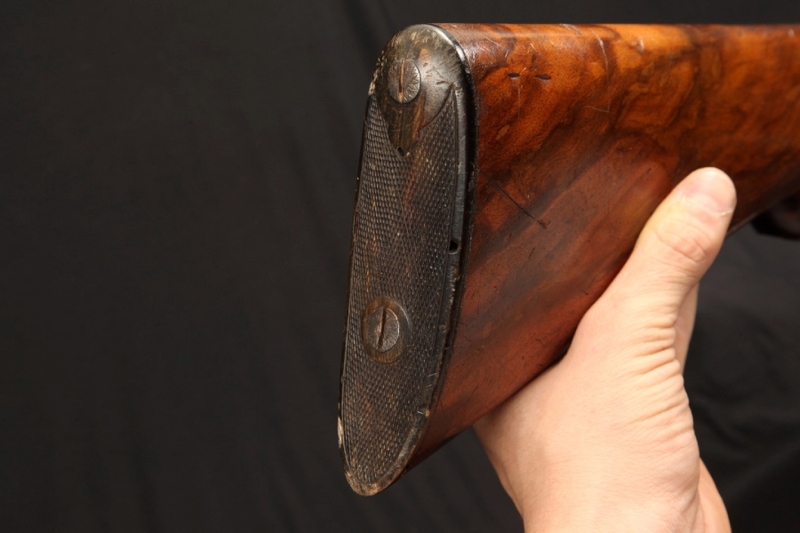 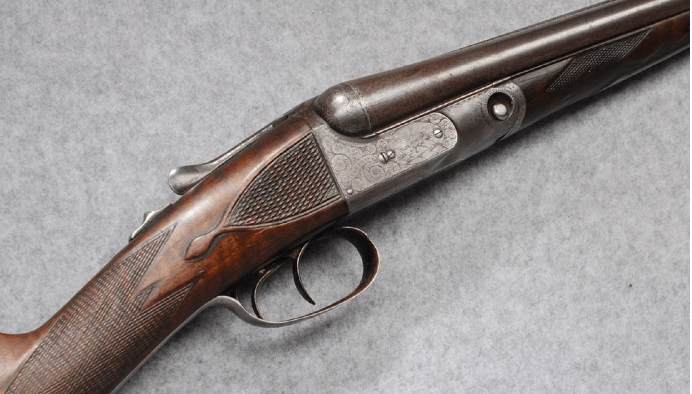 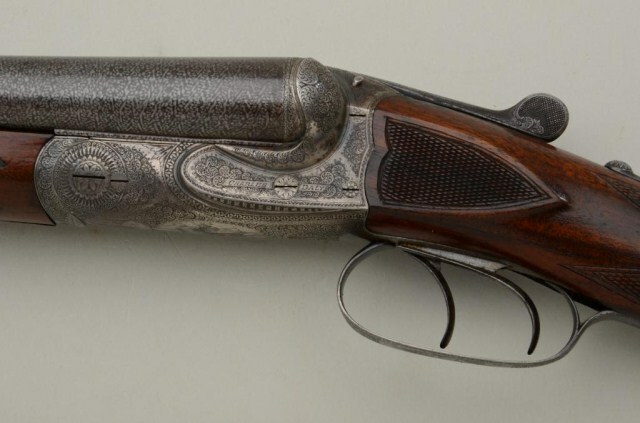 It seems odd now, but 150 years ago the “hammerless” centerfire shotgun was a novel design. 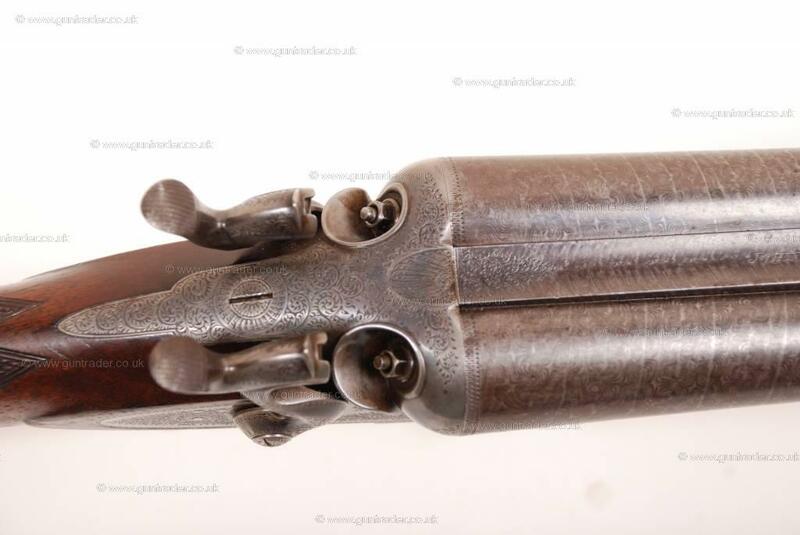 London’s Theophilus Murcott patented one in 1871, followed by Westley Richards in 1875. 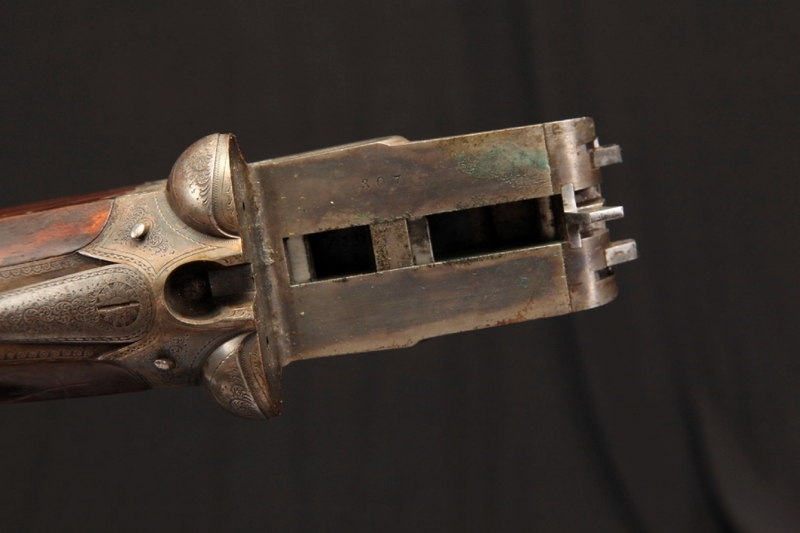 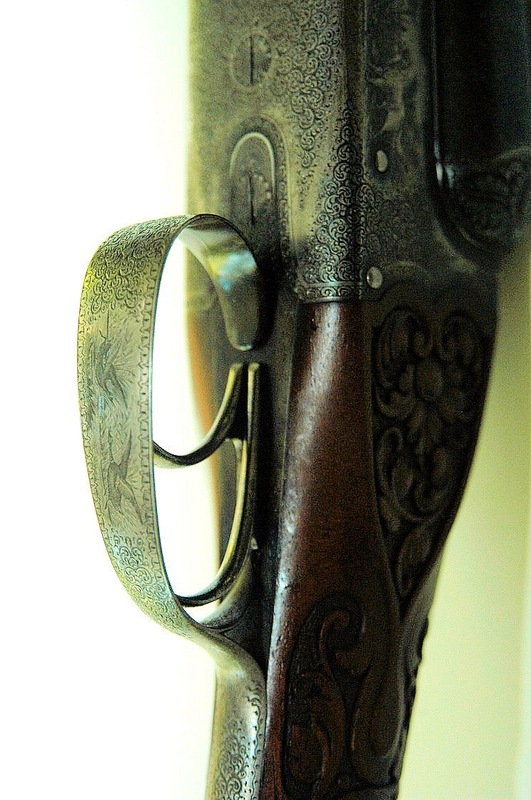 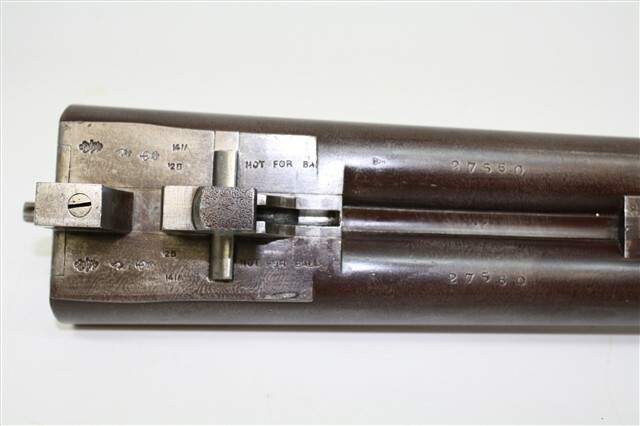 Over here in the US, Daniel Myron Lefever patented his lever-cocking, hammerless design in 1878. 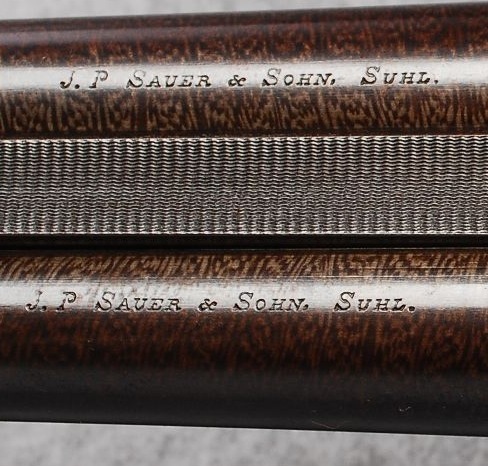 Soon after him, Charles Sneider came out with the design you see here. 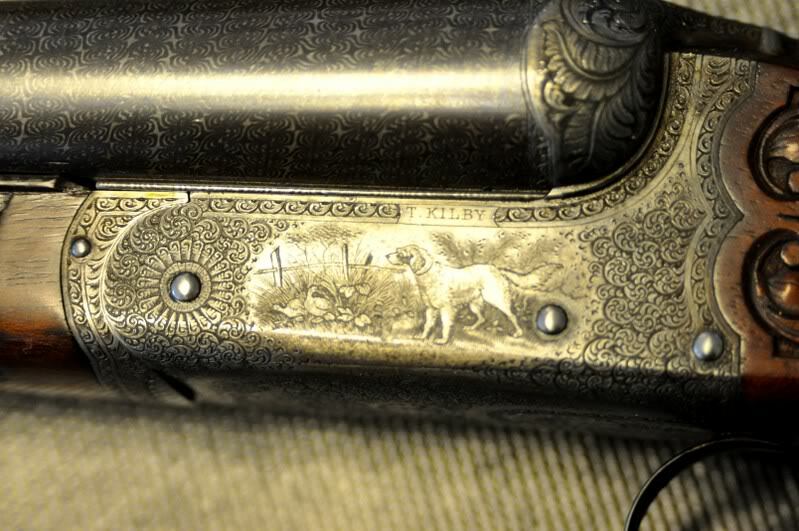 Sneider was a gunmaker in Baltimore. 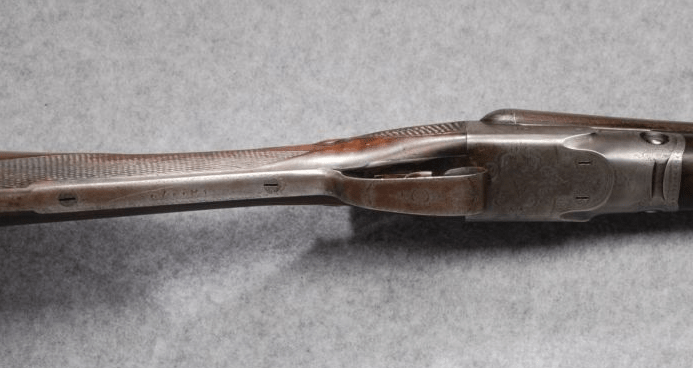 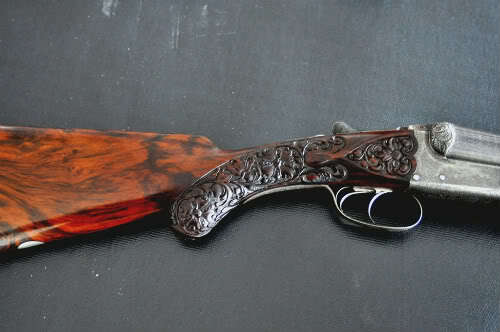 He started out making hammer guns and then later in his career and introduced hammerless models like this one around 1879-1880. 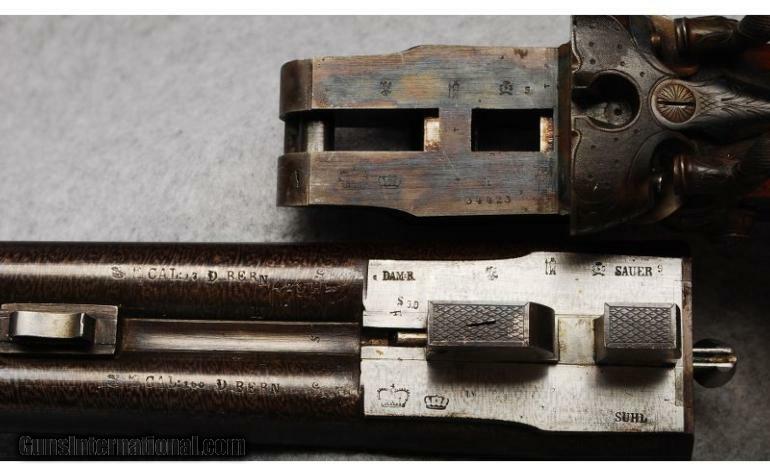 I’m not sure how many guns he made in all, but I’m sure the number is number a fewer than a thousand, and I bet the total number of hammerless models is no more than 200. 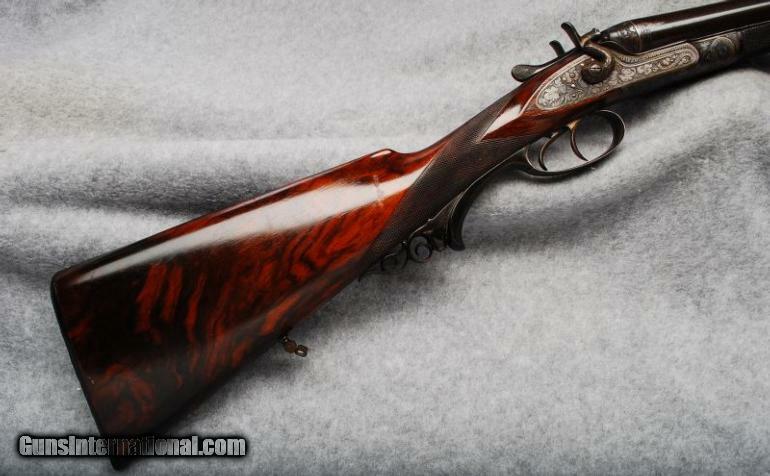 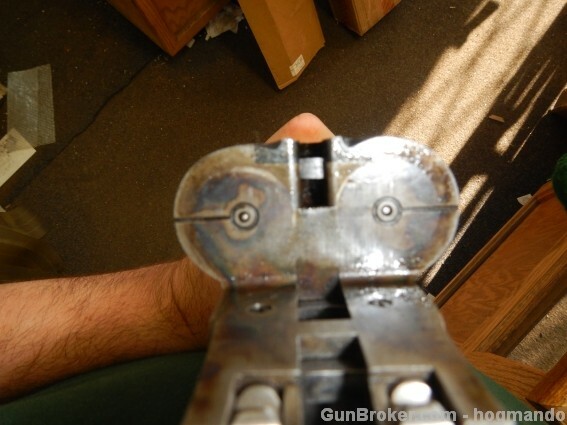 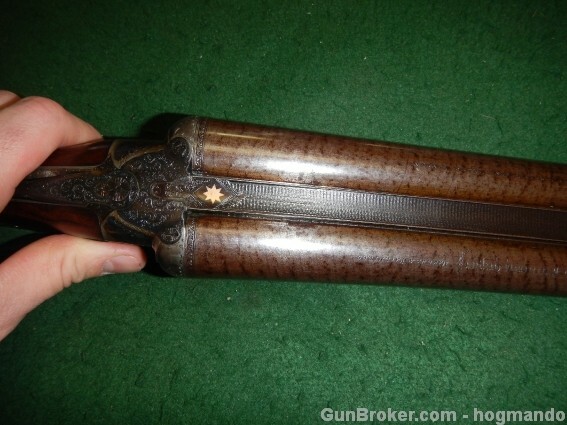 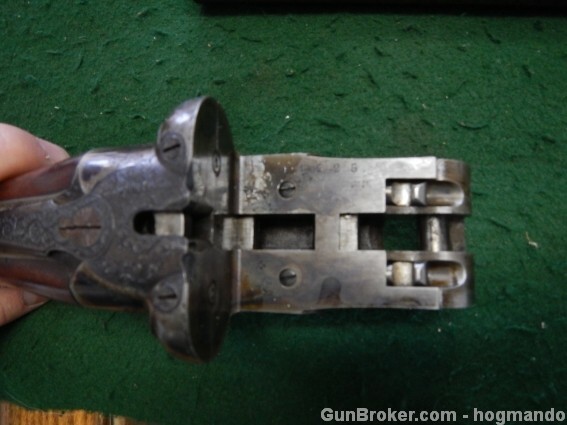 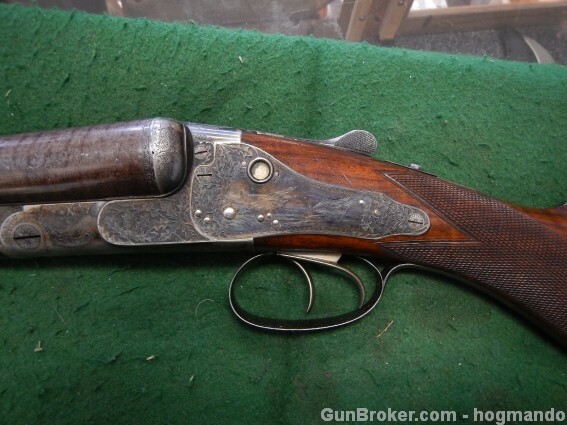 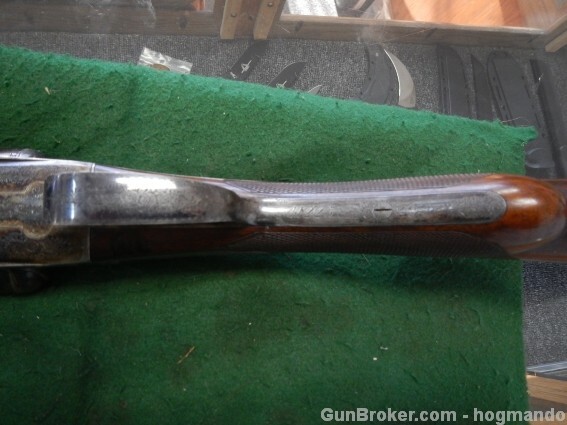 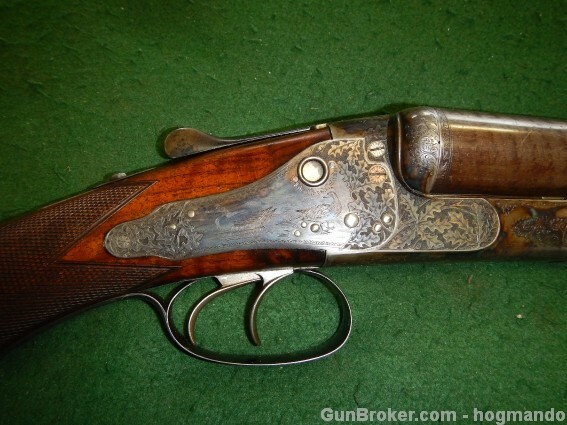 I’ve seen a couple hammerless Sneiders, and their quality and elegance impressed me. 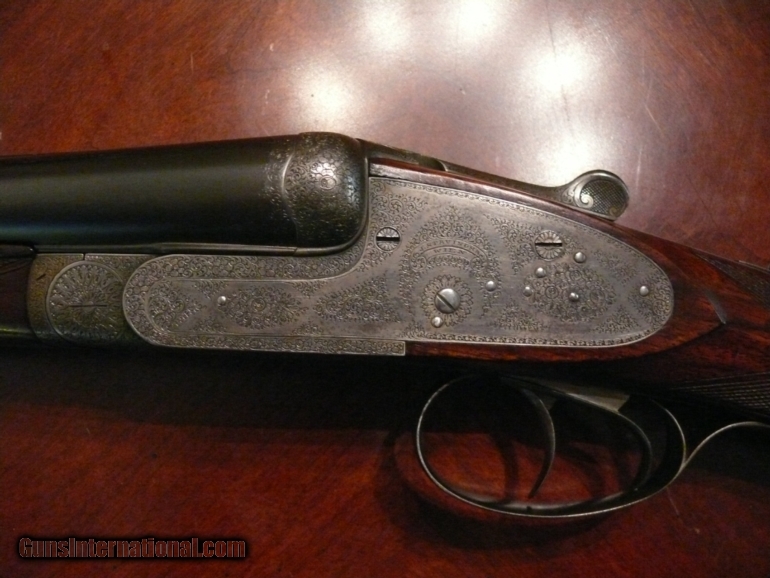 Take a look at the pics posted here to see what I mean. 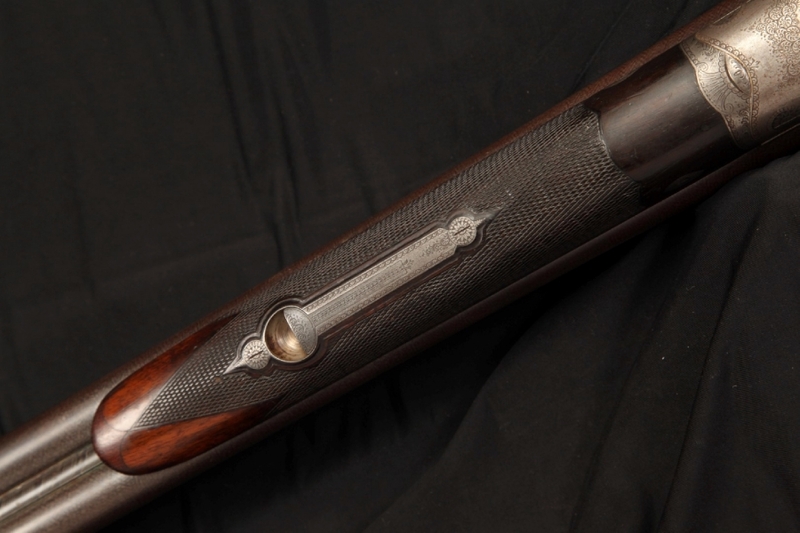 The sixteen was never America’s favorite gauge Even though all our makers built 16s, the gauge that was most popular with us was the twelve. 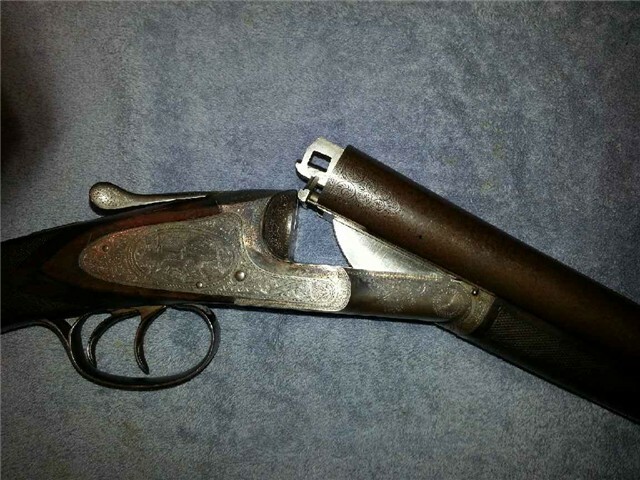 There’s a simple reason for this: versatility. 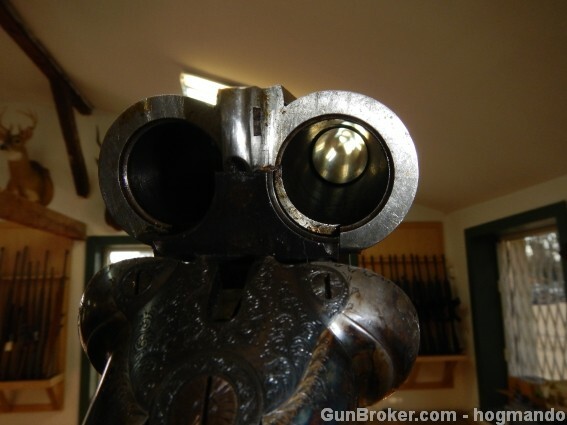 Most American shooters were opportunistic. 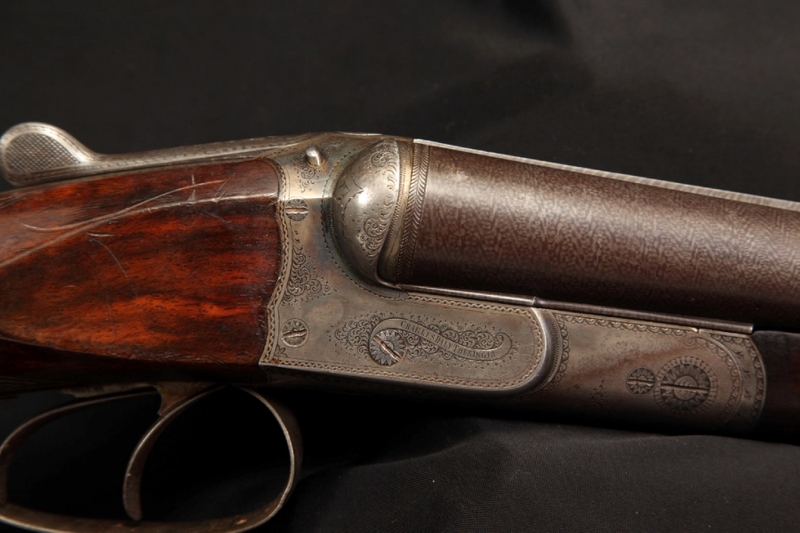 They shot everything from waterfowl to rabbits and upland game. 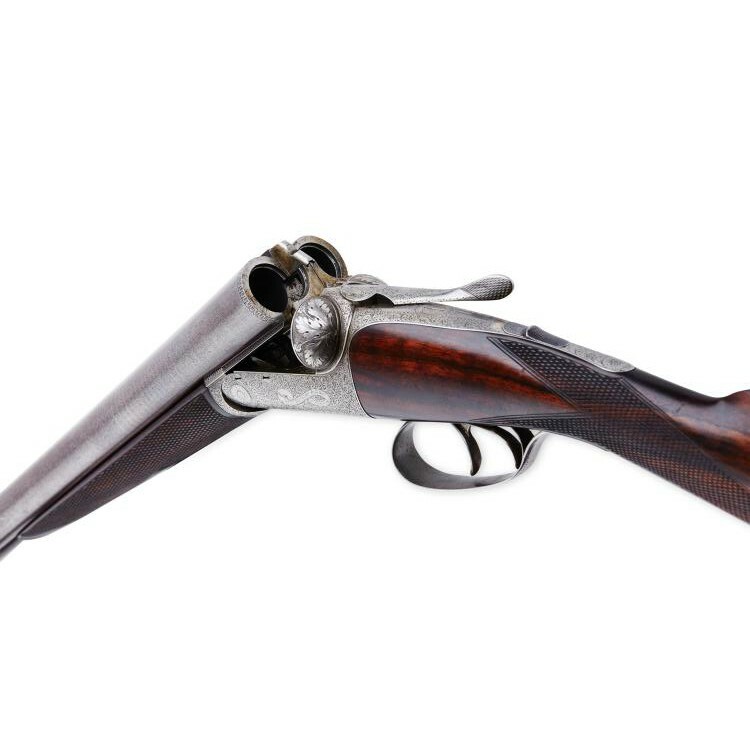 A twelve could handle all this action. 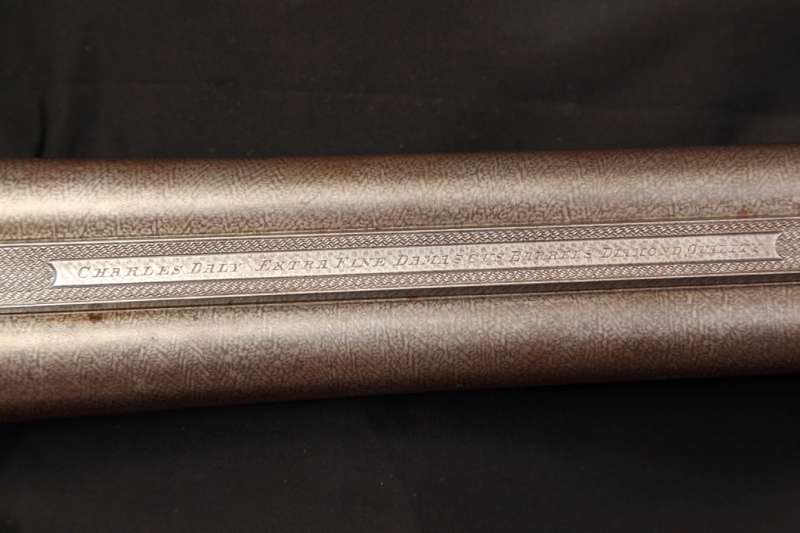 But the sixteen always had lot of fans – and for good reason. 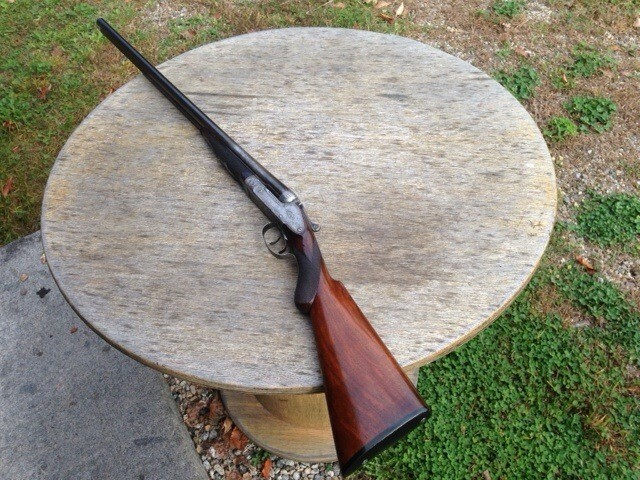 For an upland game it’s hard to beat. 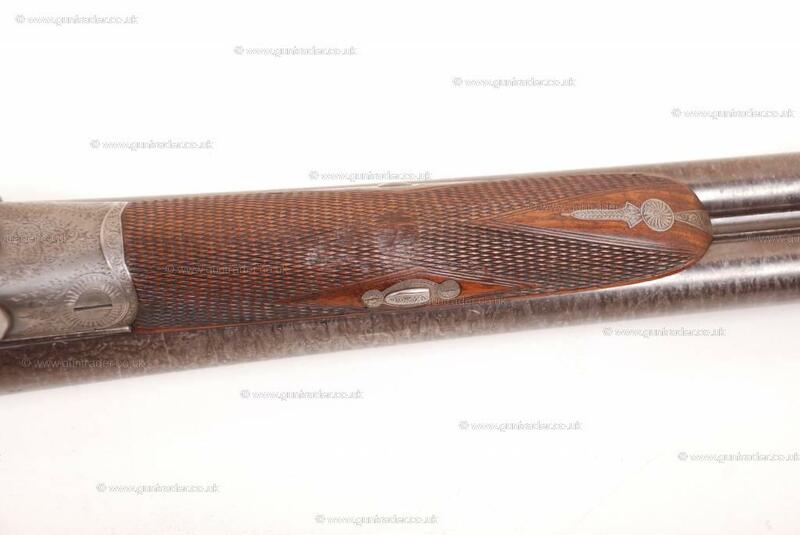 Slightly larger than a standard 20, it handles a bit more lead if required. 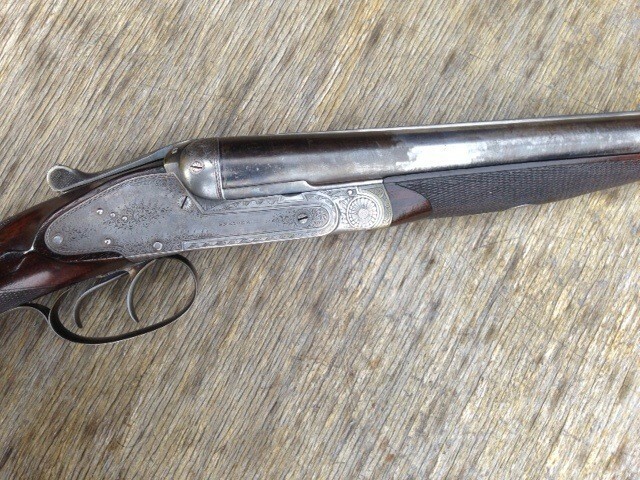 It’s also feel better in your hands (at least it does in mine). 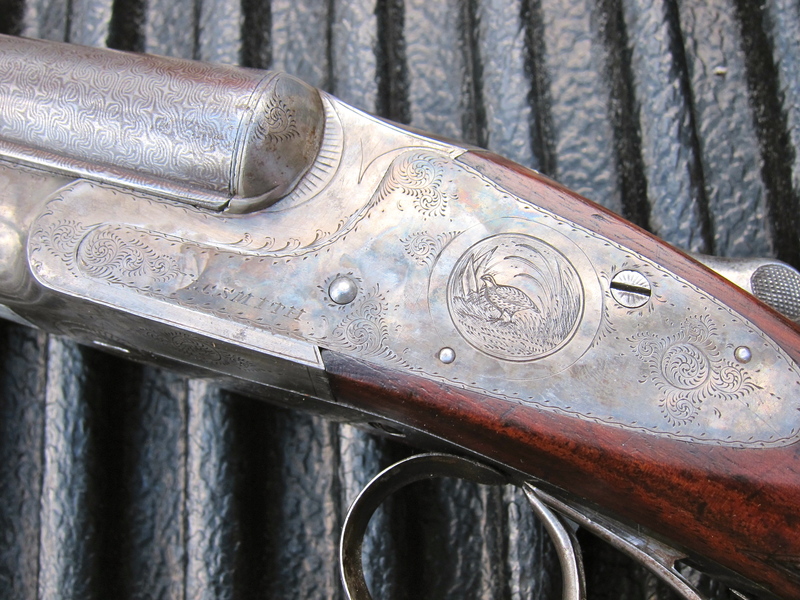 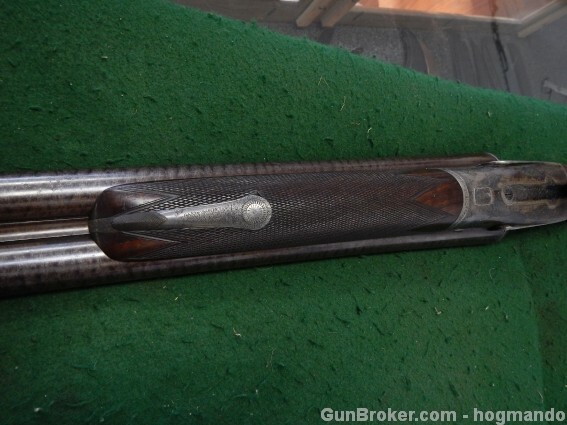 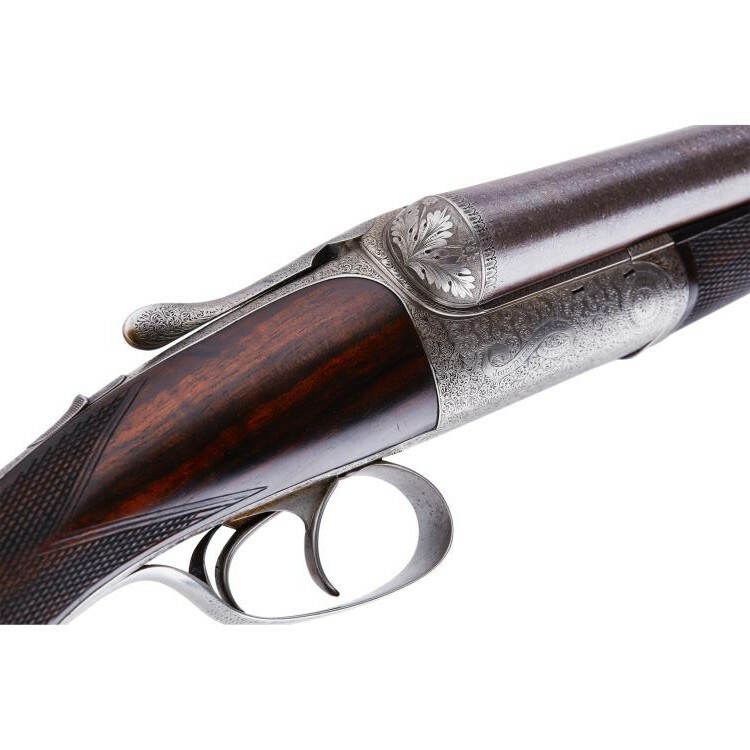 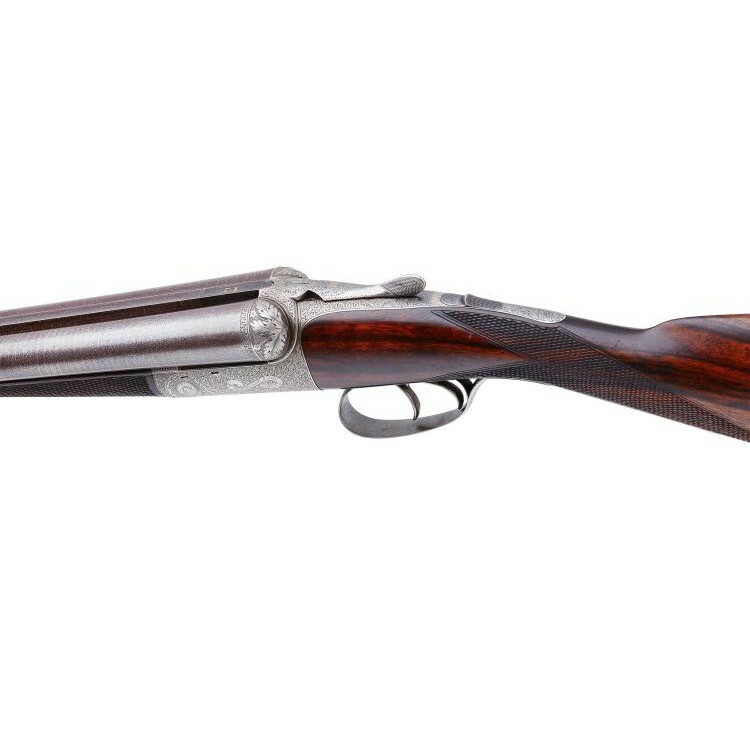 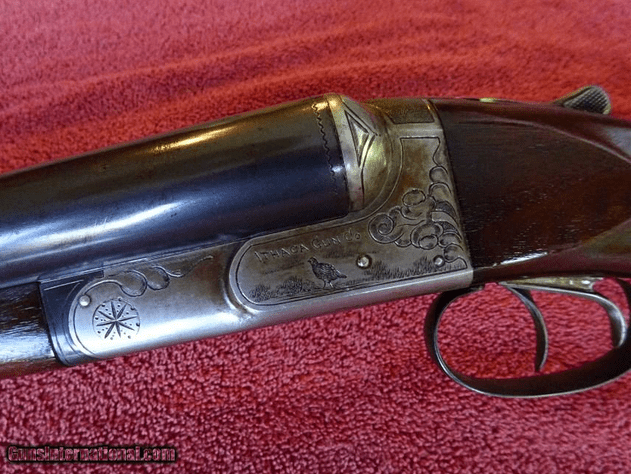 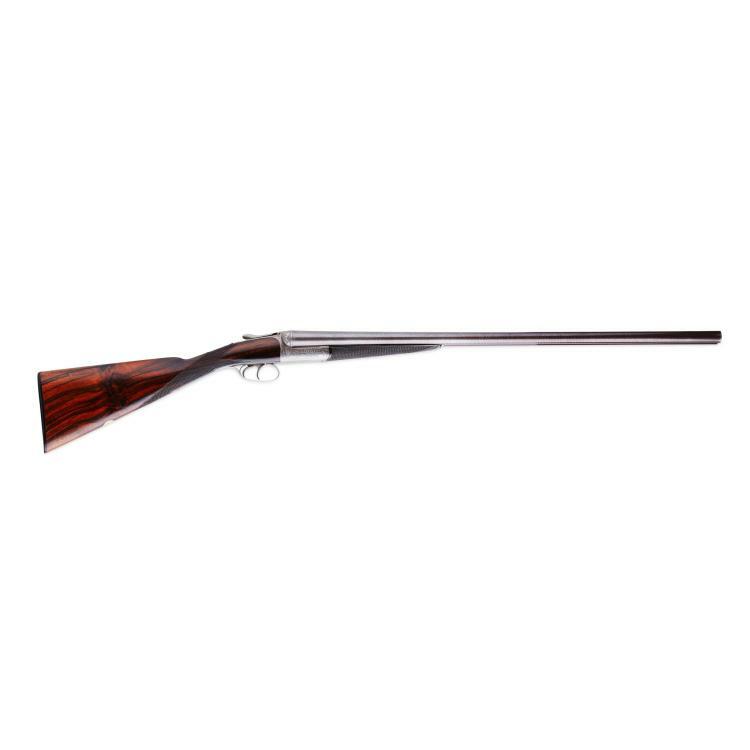 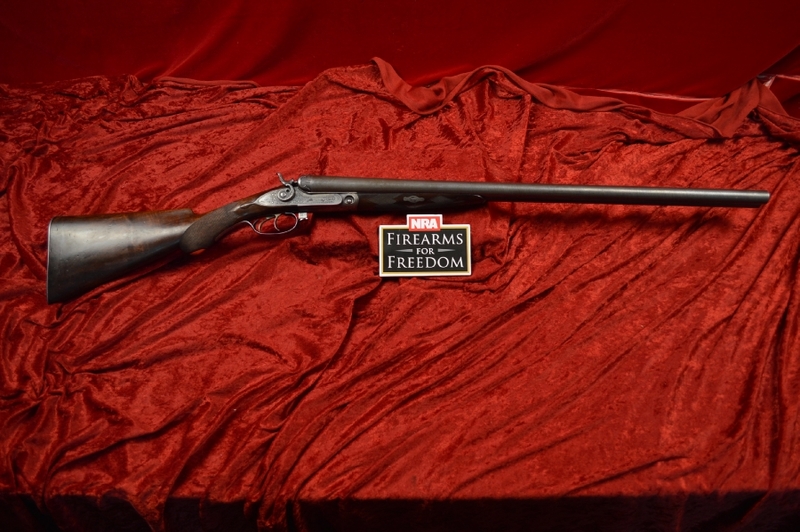 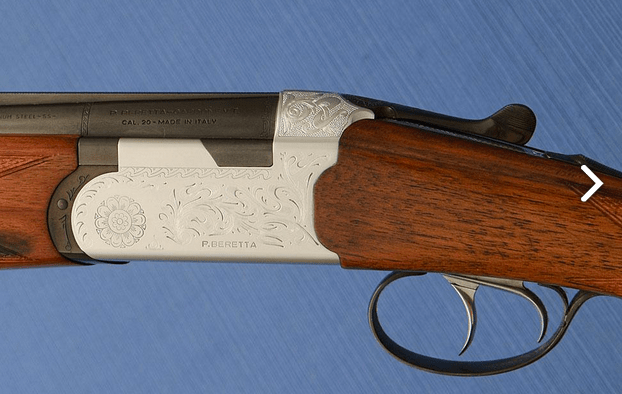 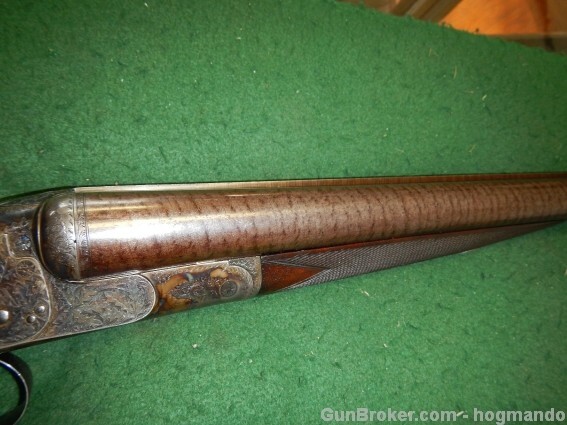 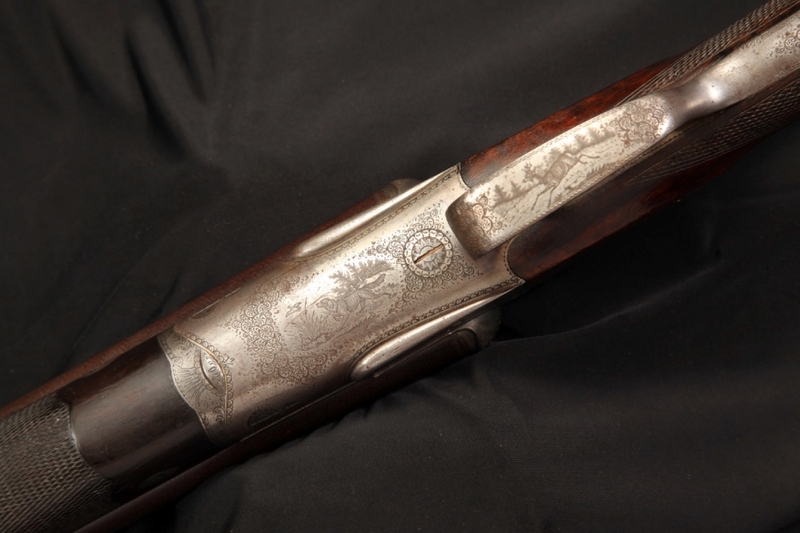 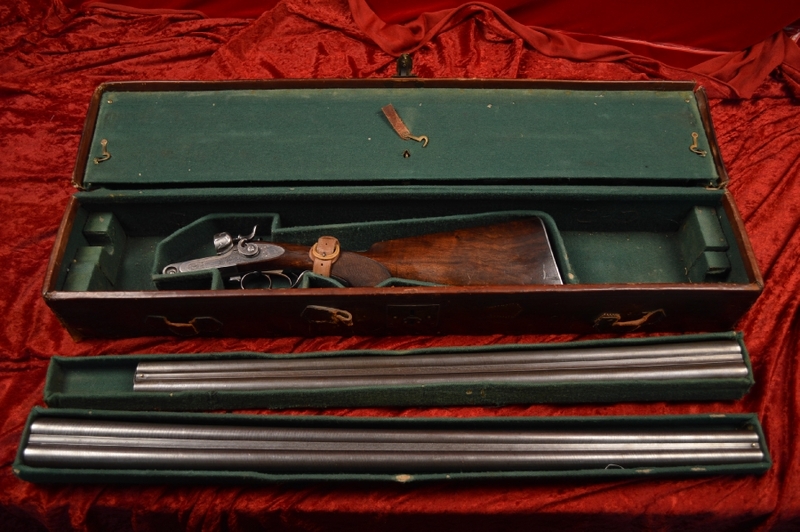 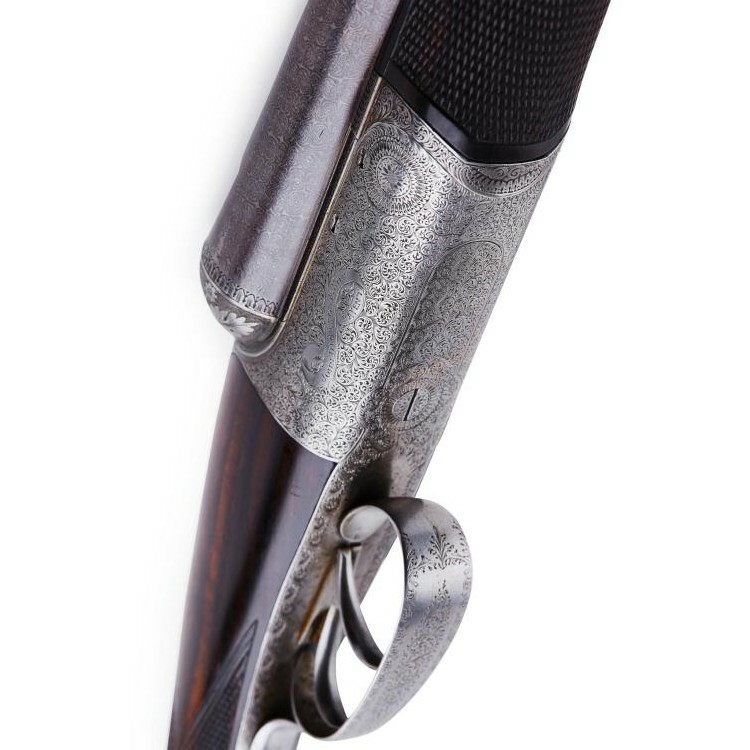 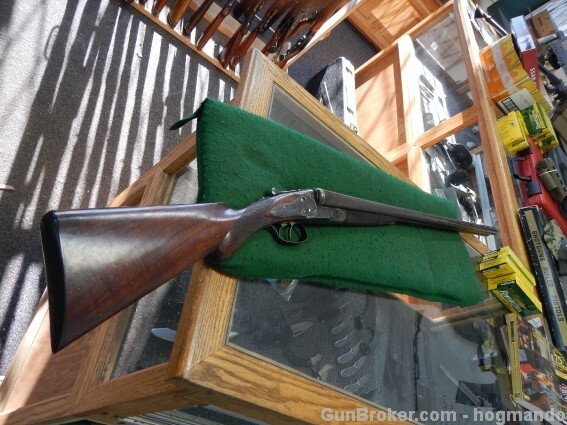 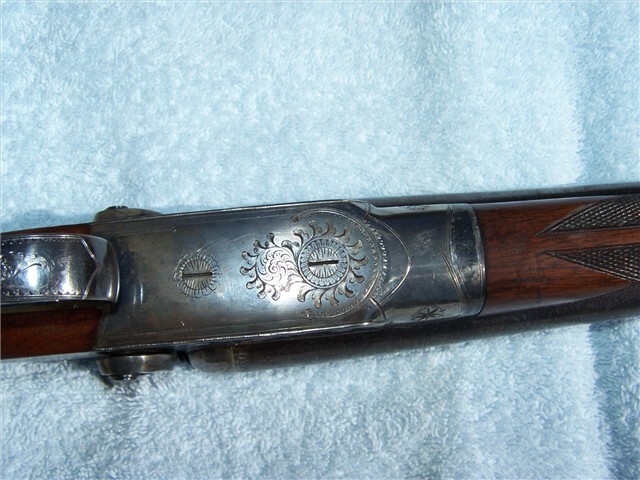 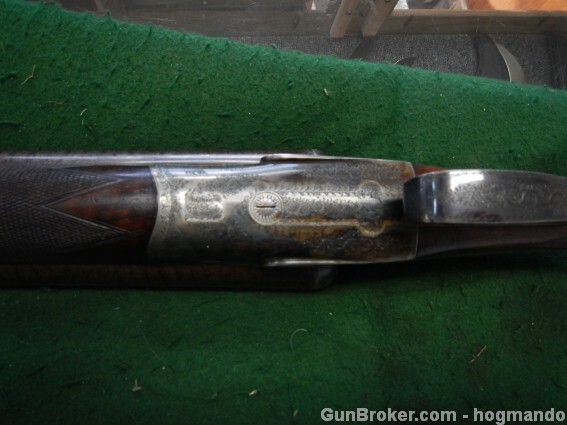 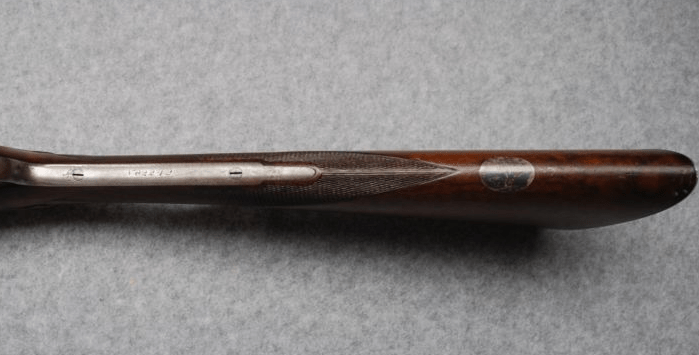 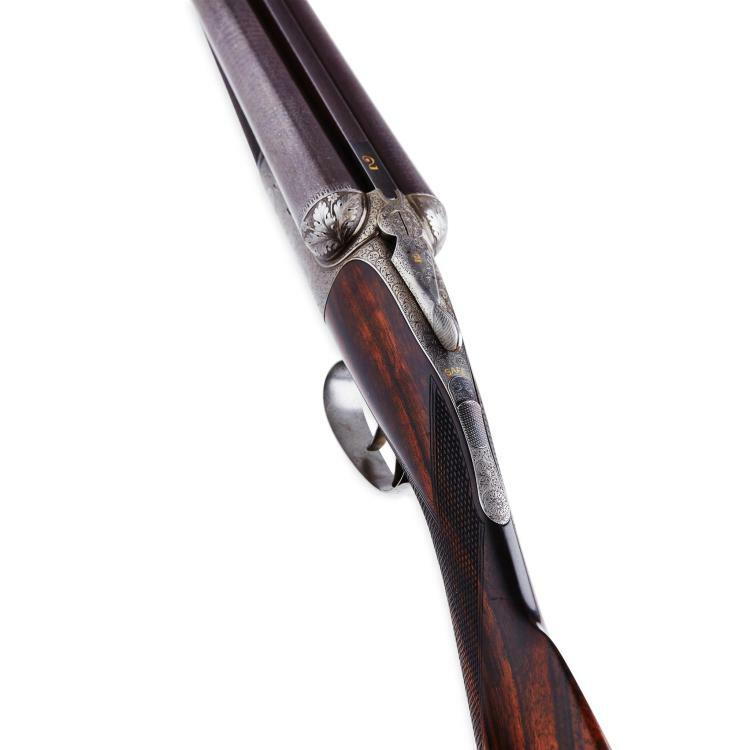 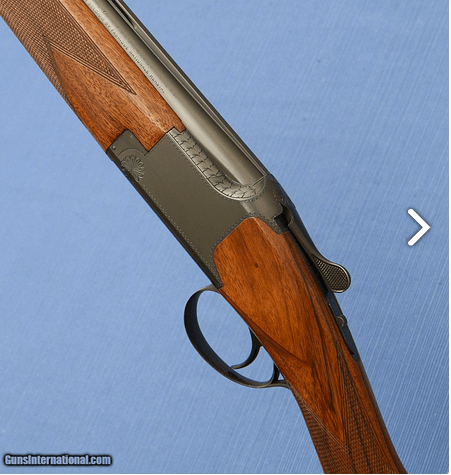 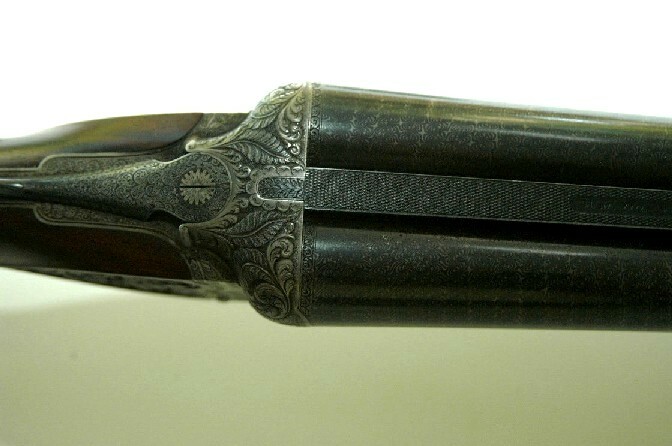 Of all the America makers, Lefever made the fewest 16 gauge double barrels. 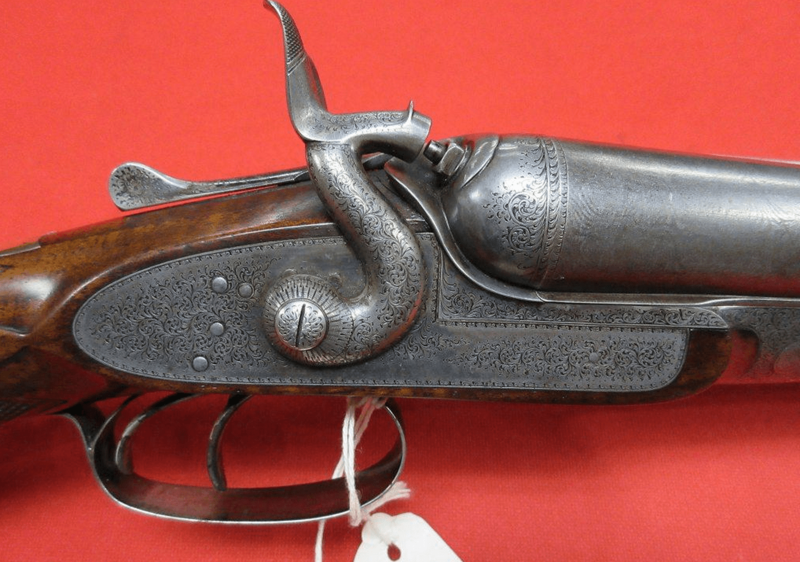 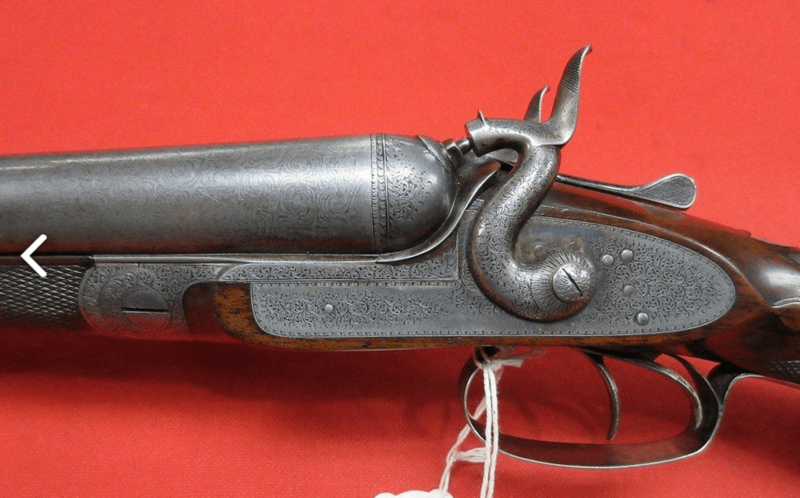 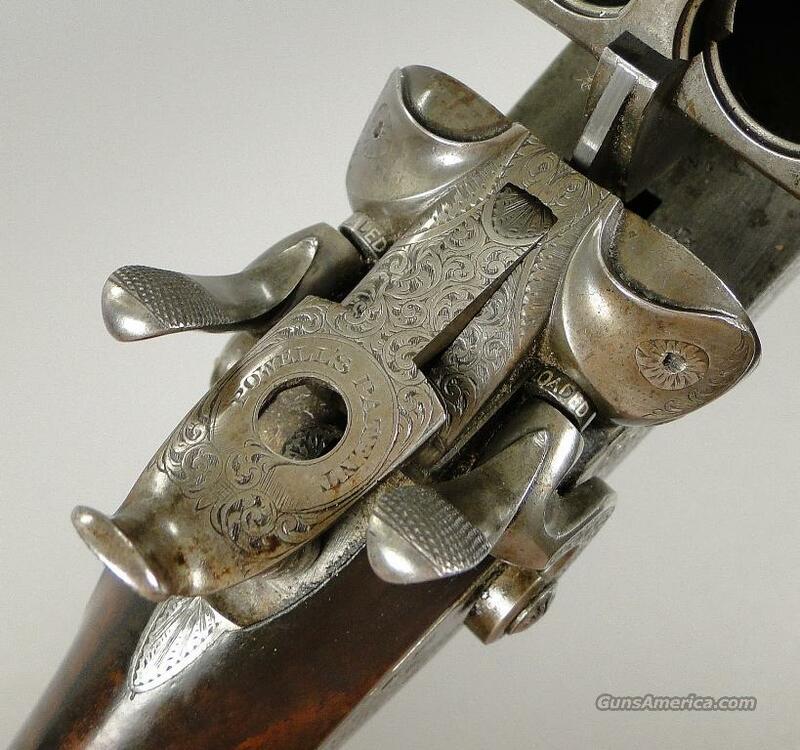 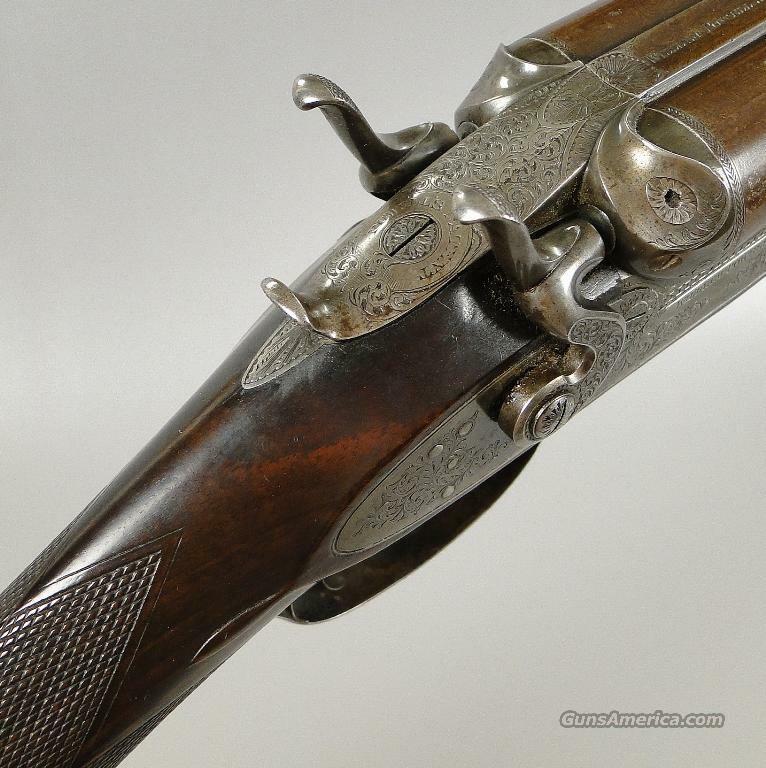 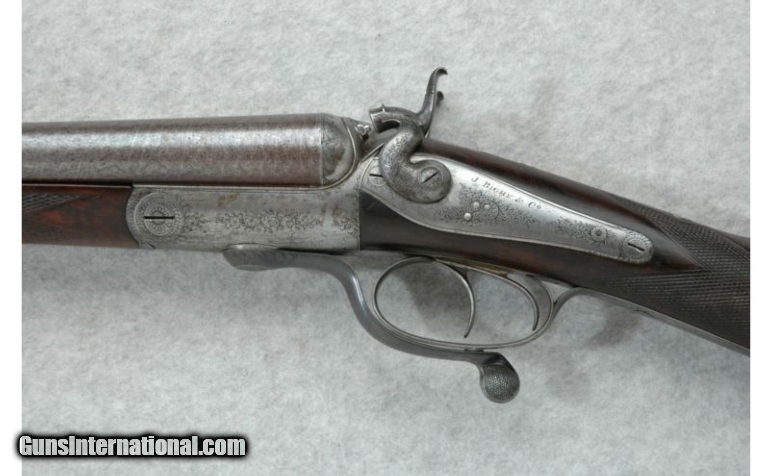 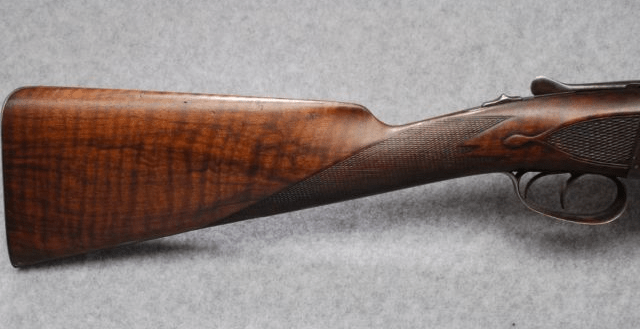 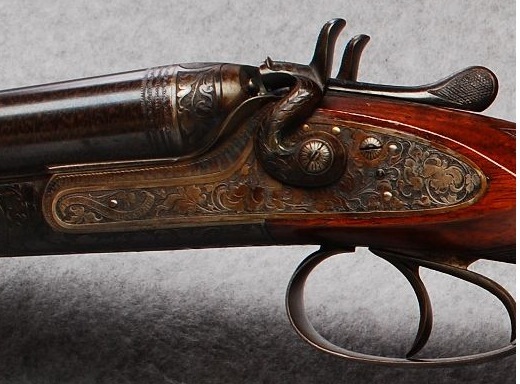 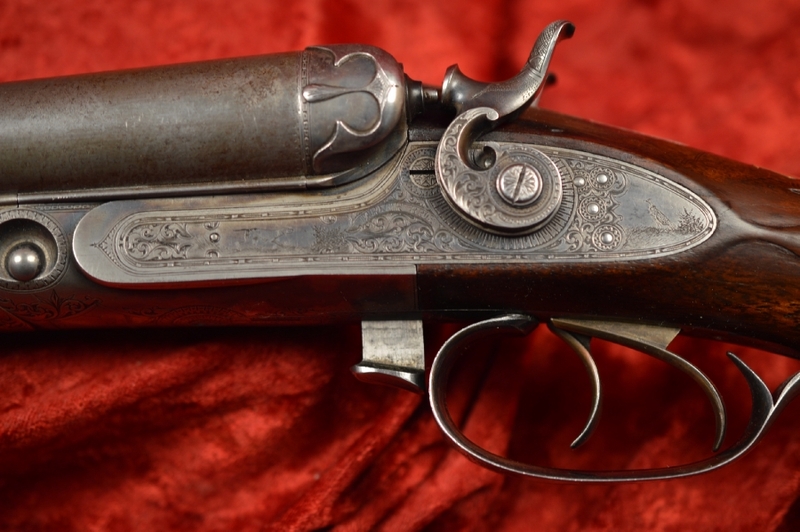 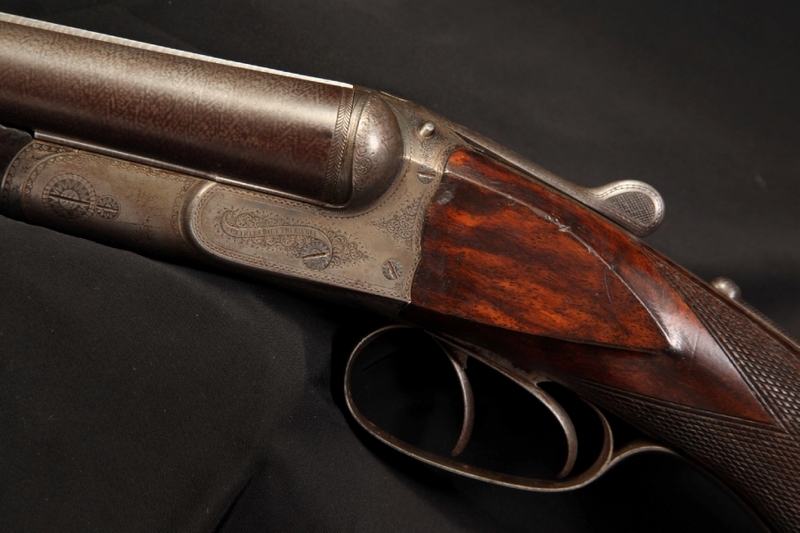 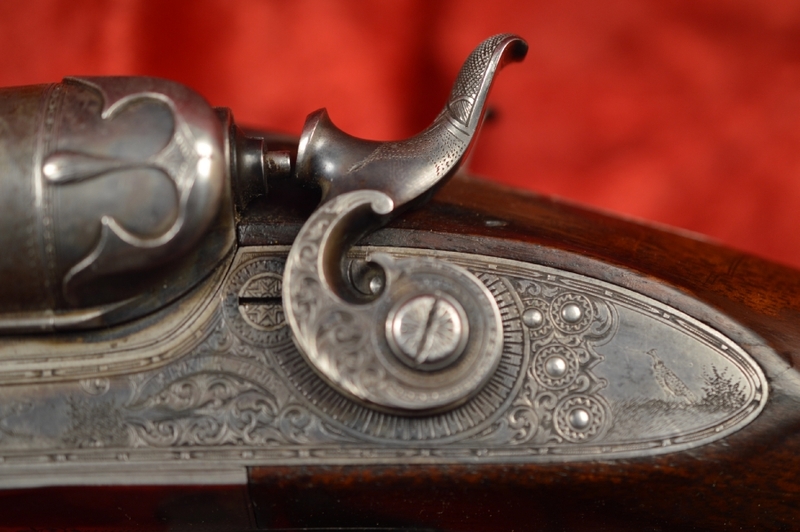 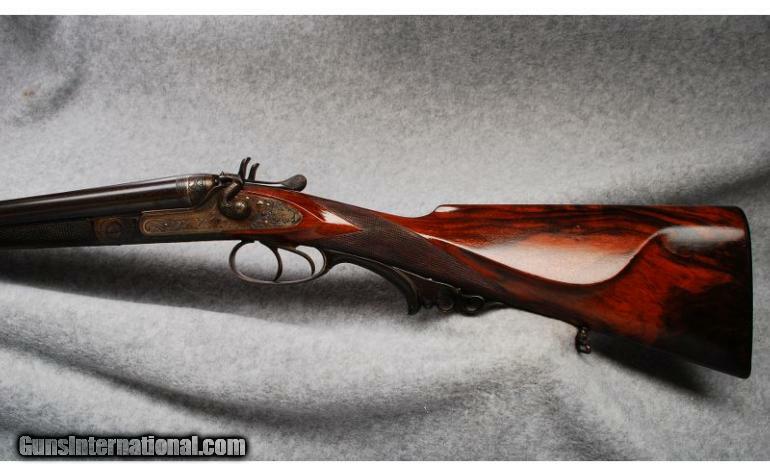 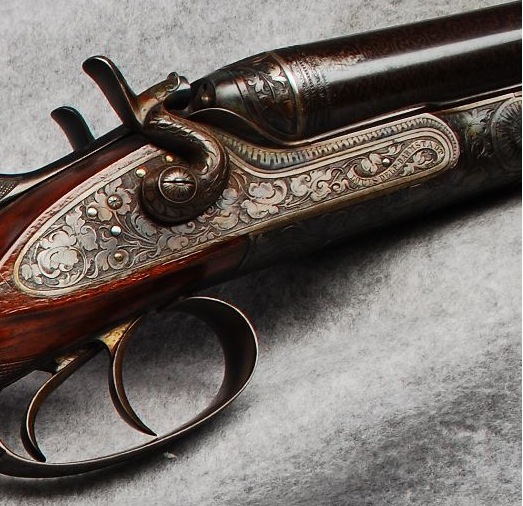 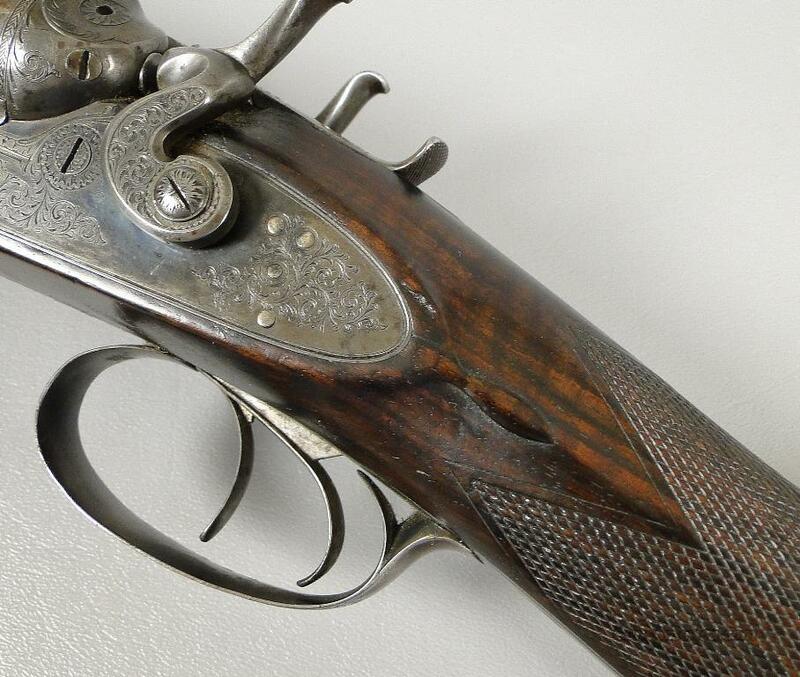 Daniel Myron Lefever was one of the geniuses of American gunmaking. 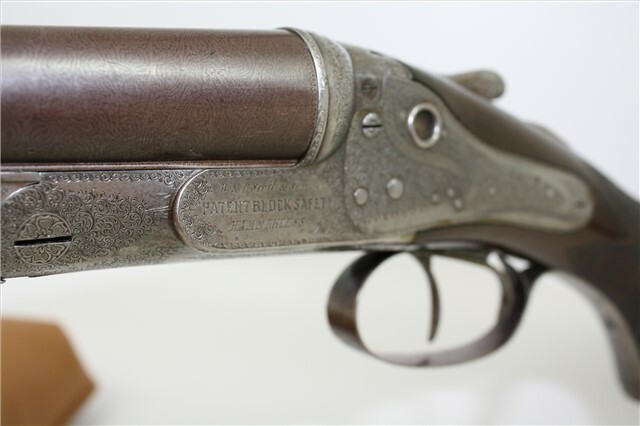 Born in 1835, he started making firearms under his own name in 1857. 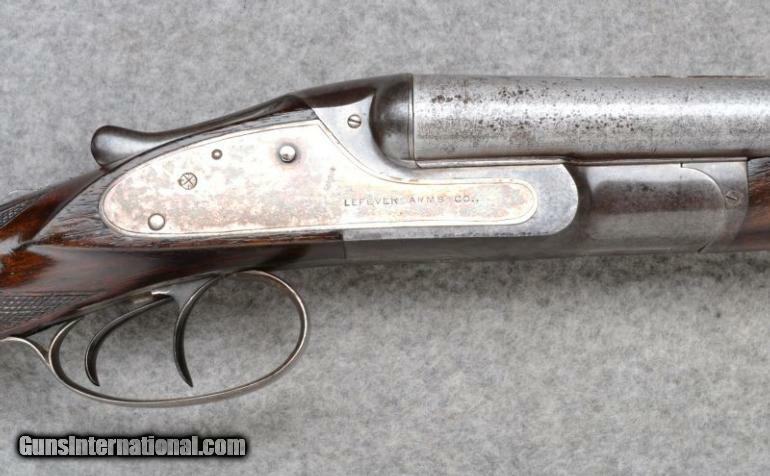 In 1880 he formed the Lefever Arms Co in Syracuse, NY. 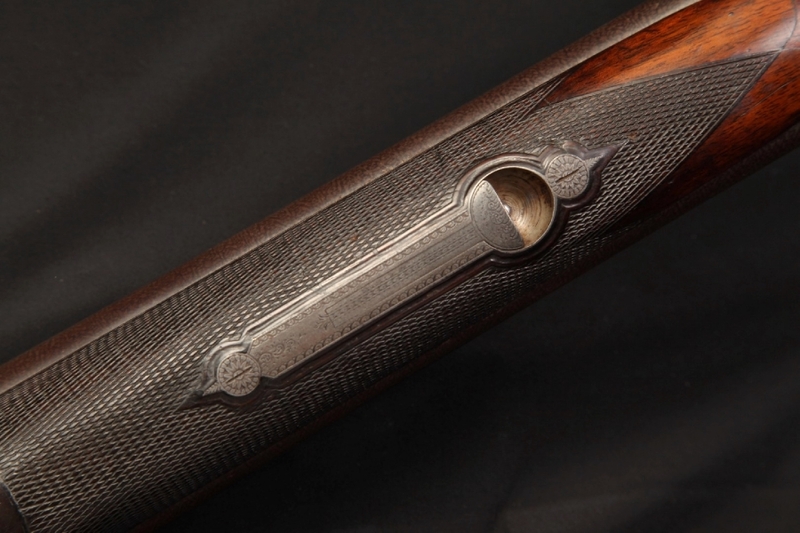 The company was only around until 1919, and in that time they only built around 65,000 shotguns. 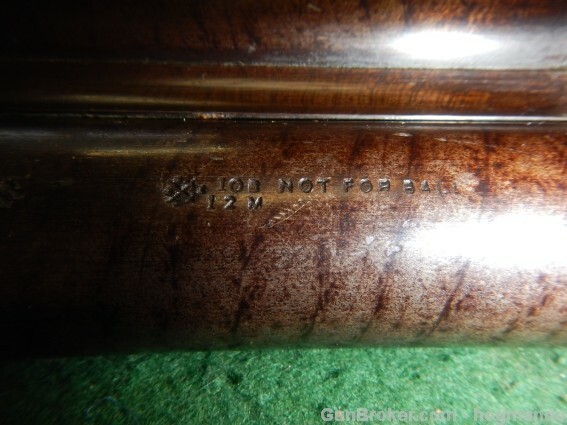 I’m not sure how many of these were 16s, but I bet the number is under 10%. 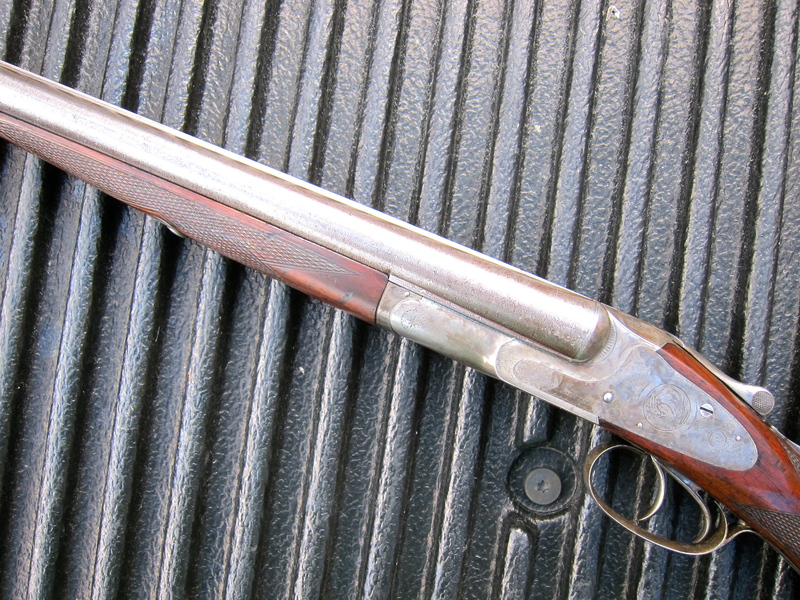 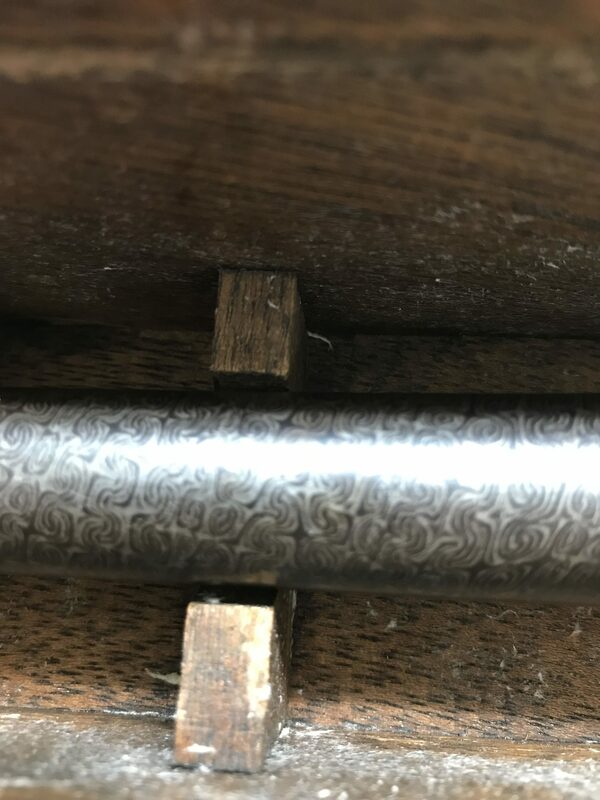 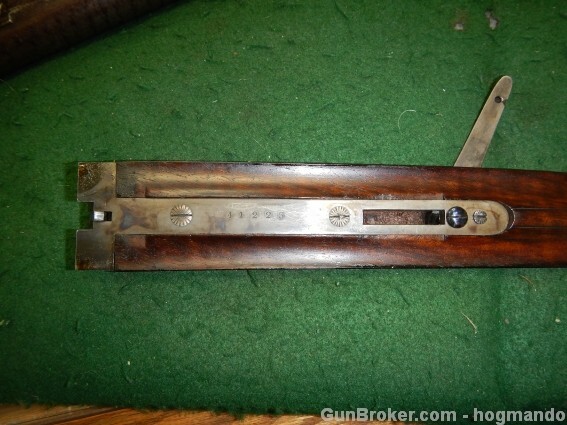 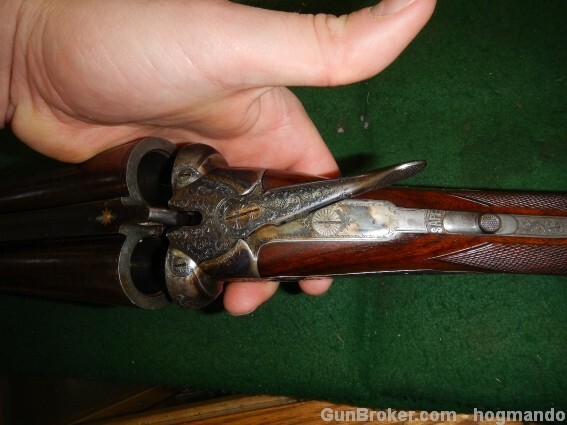 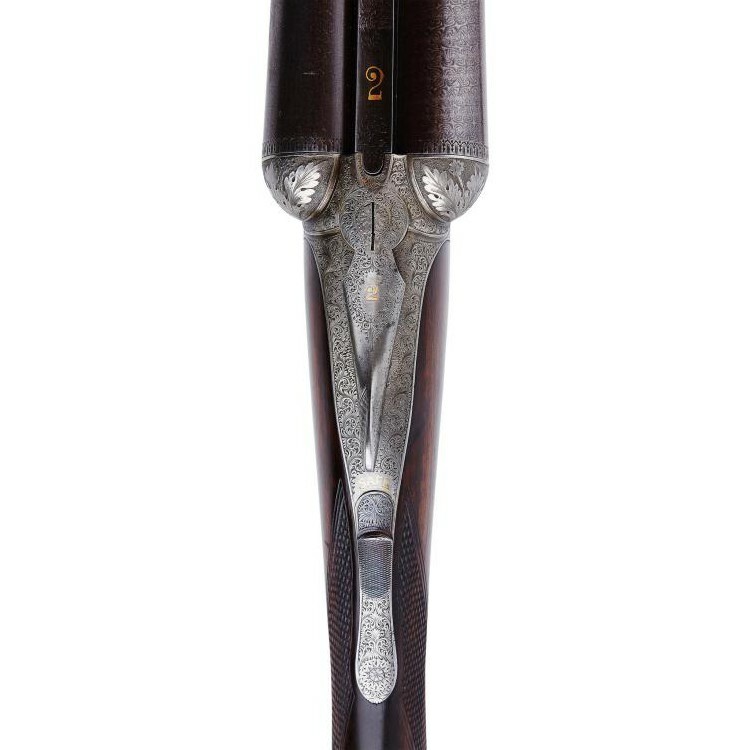 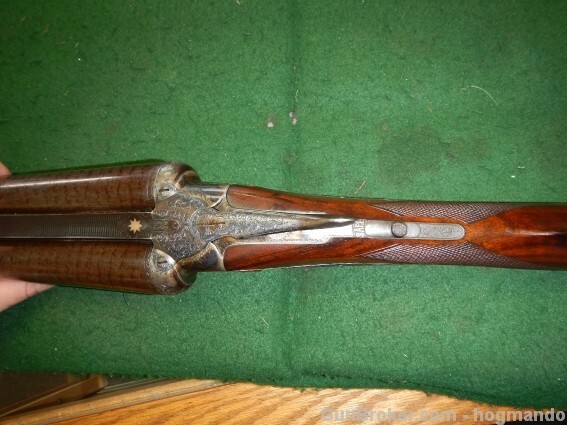 The 16 gauge Lefever you see here is a G or an H grade, probably made around 1897. 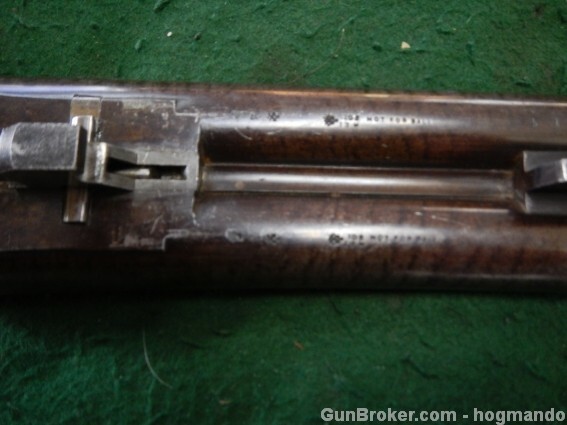 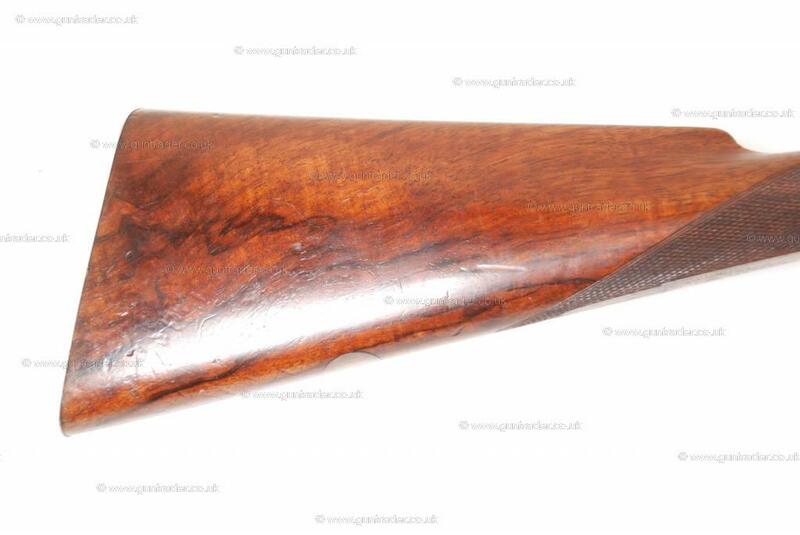 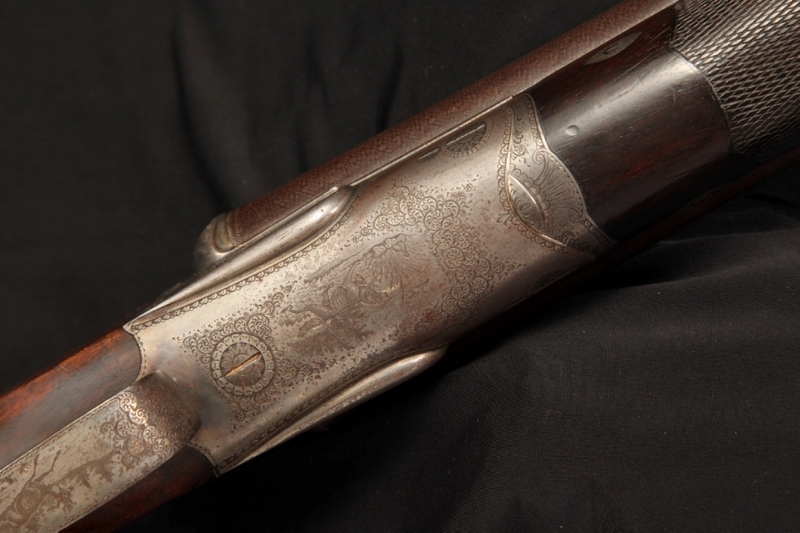 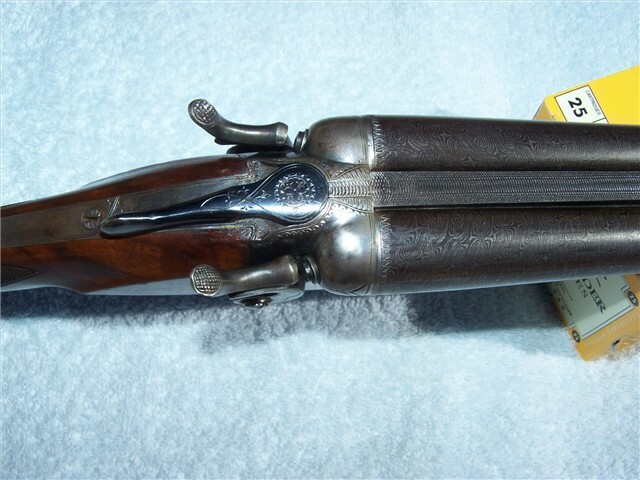 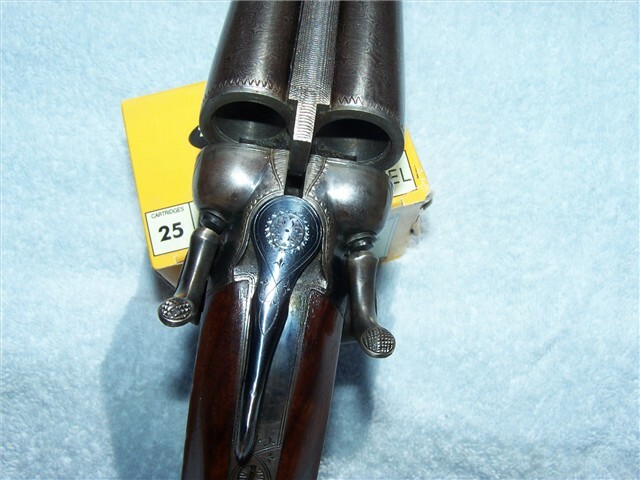 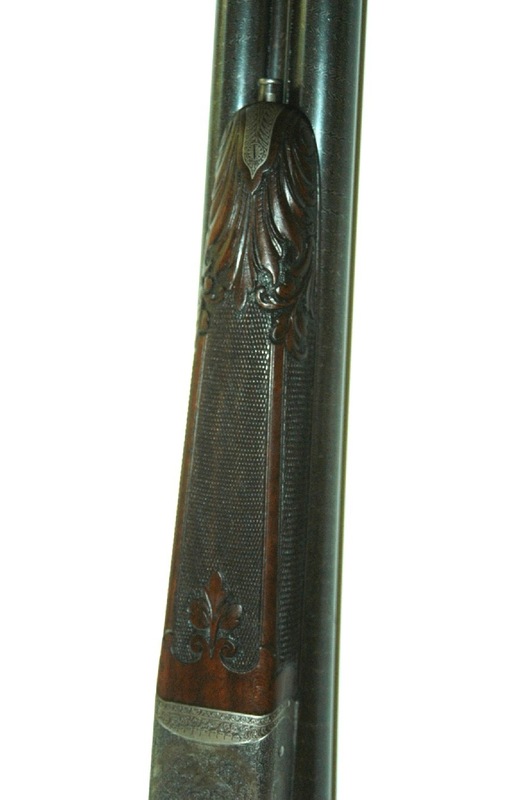 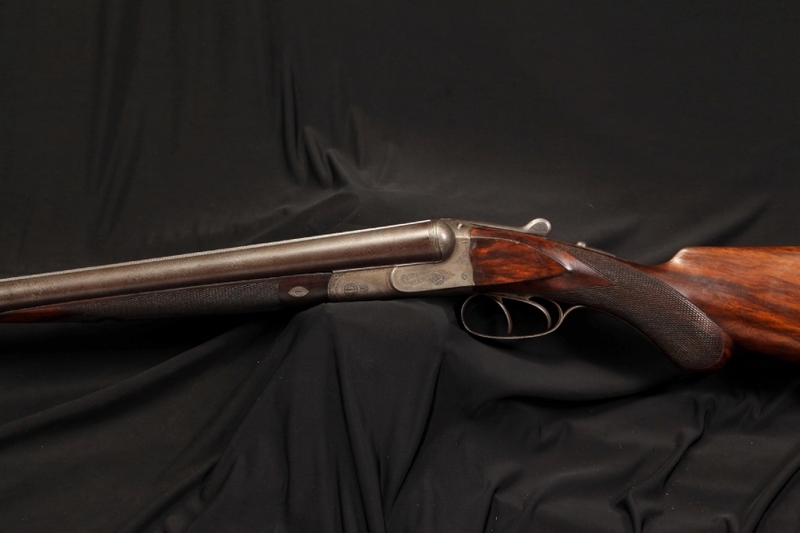 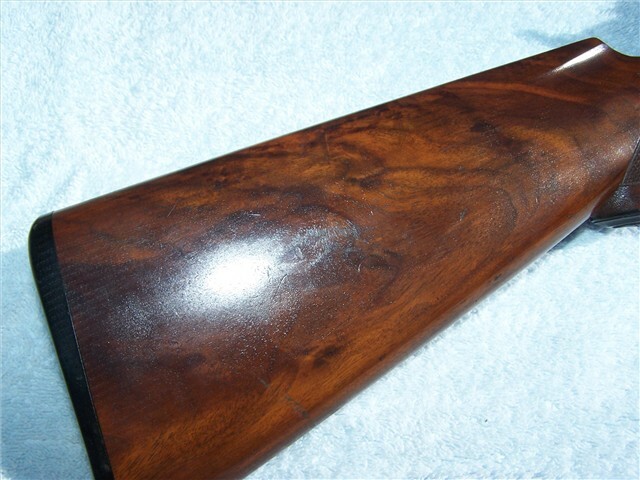 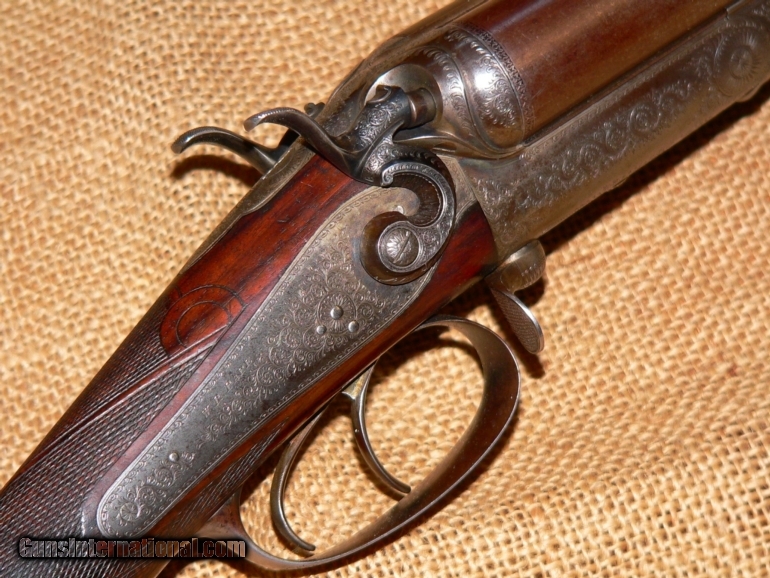 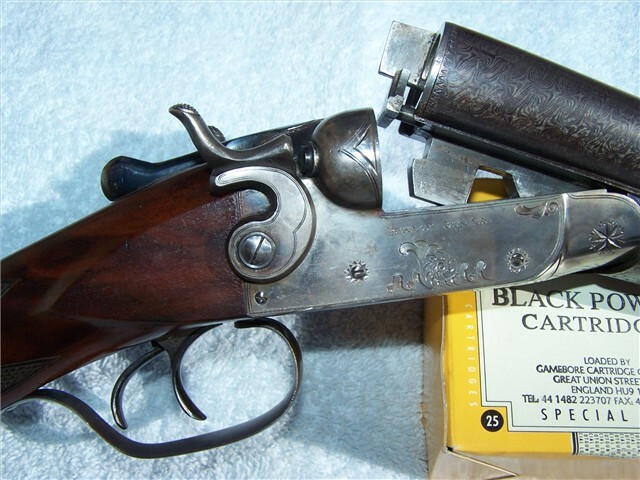 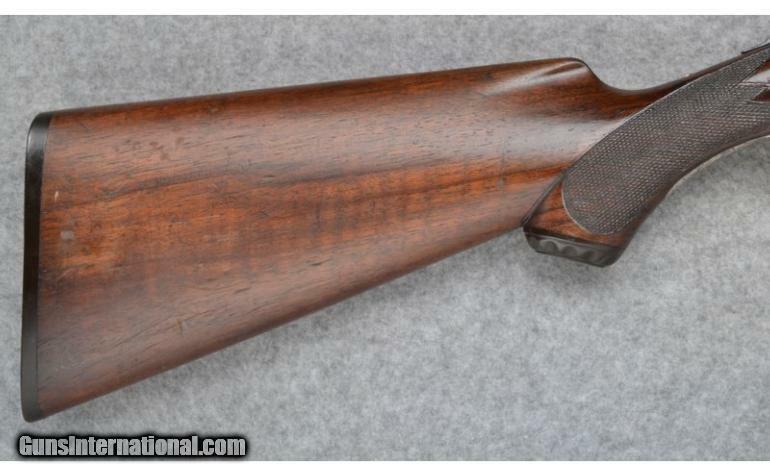 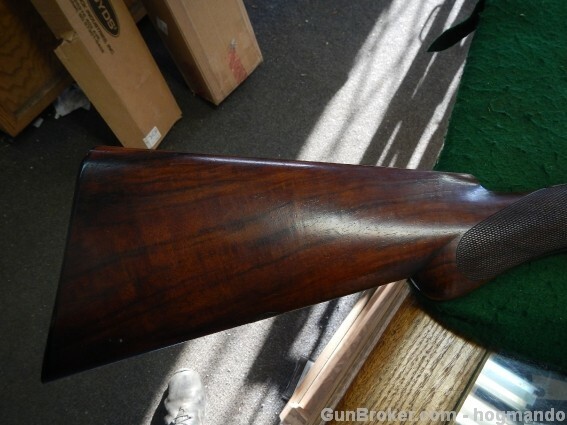 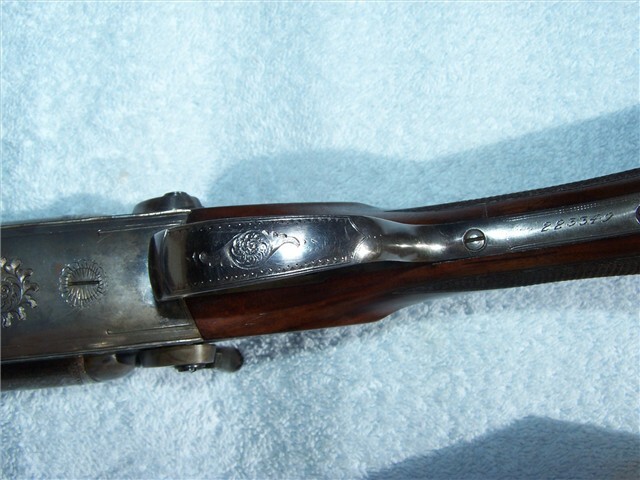 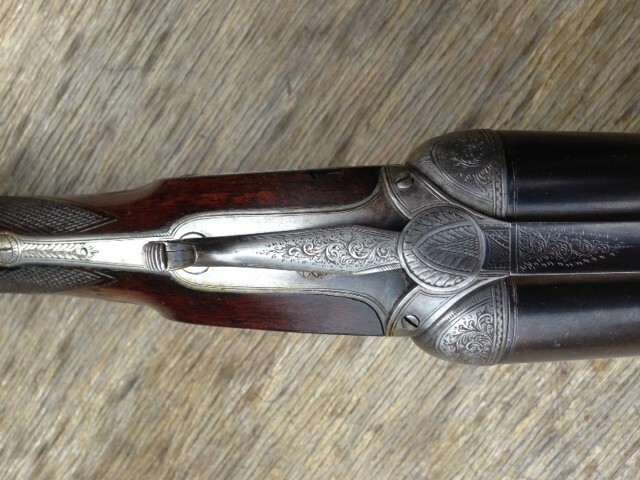 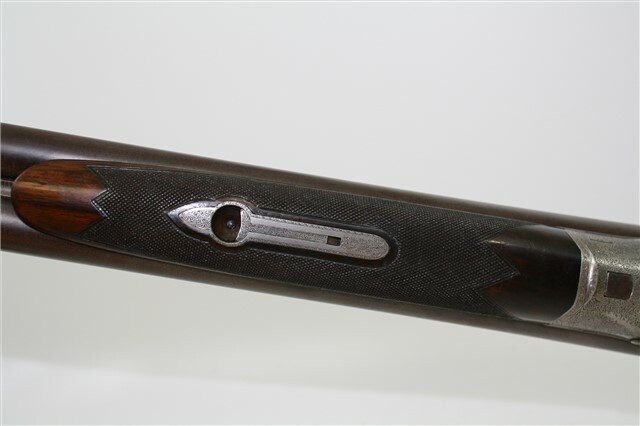 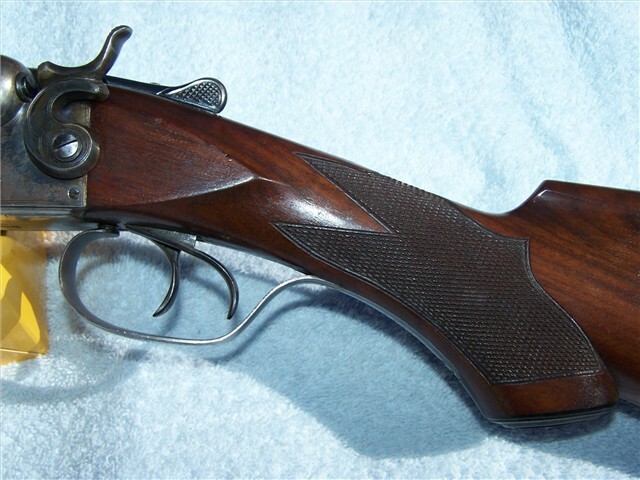 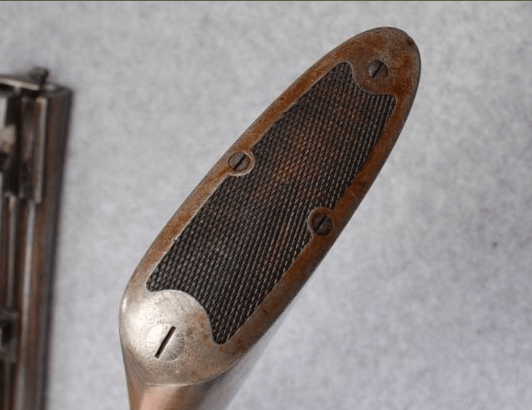 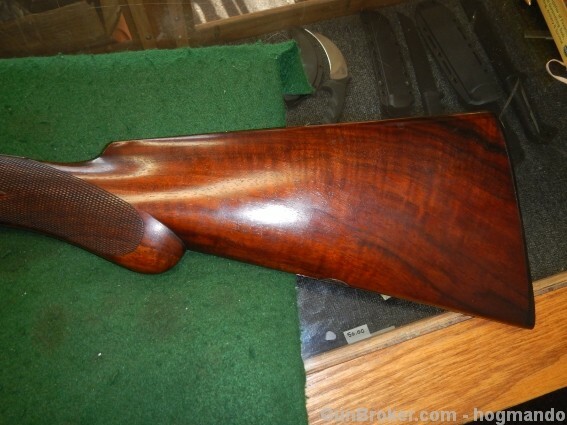 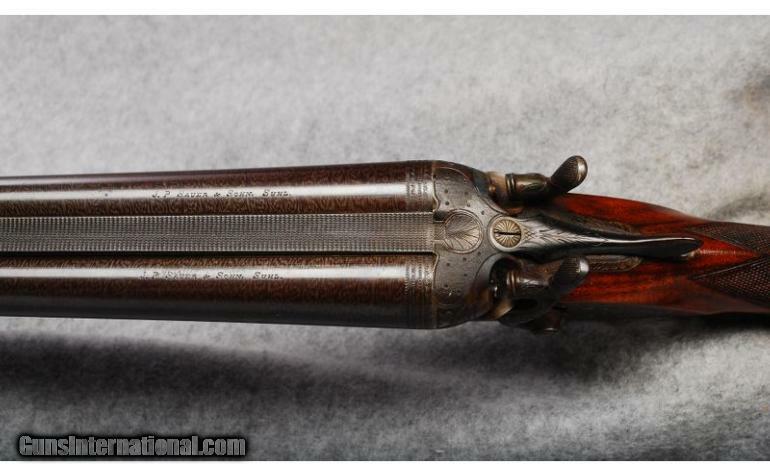 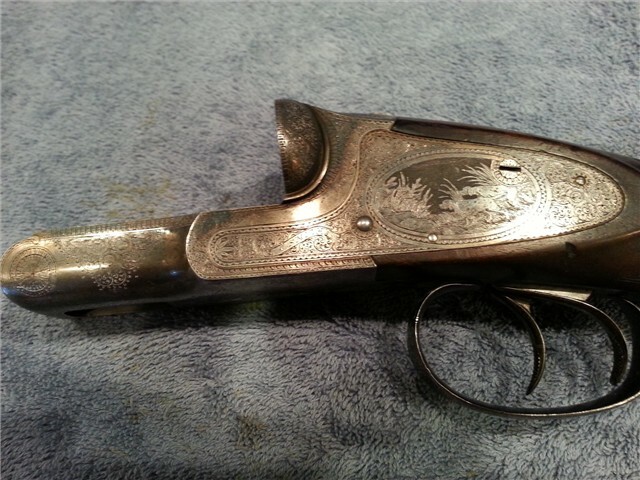 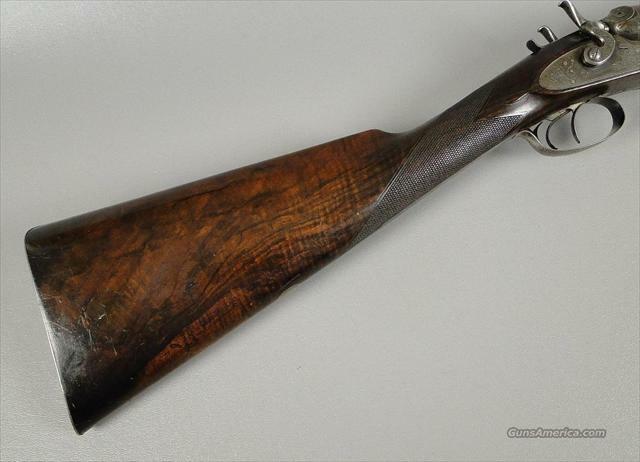 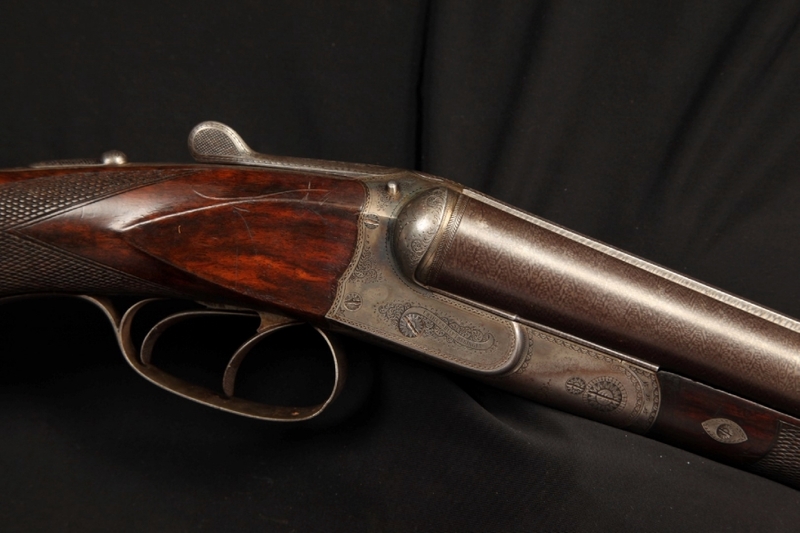 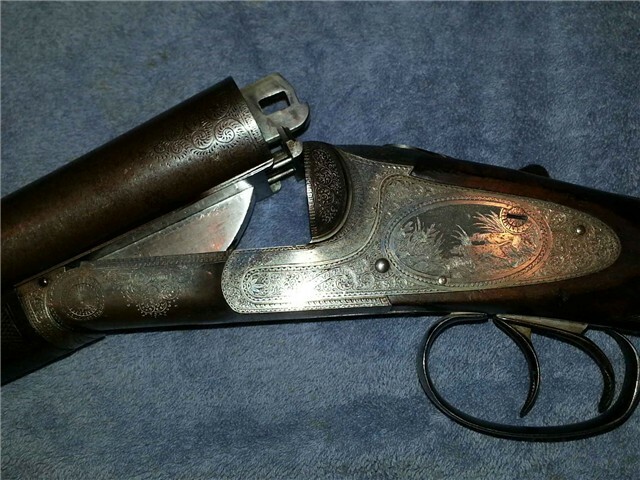 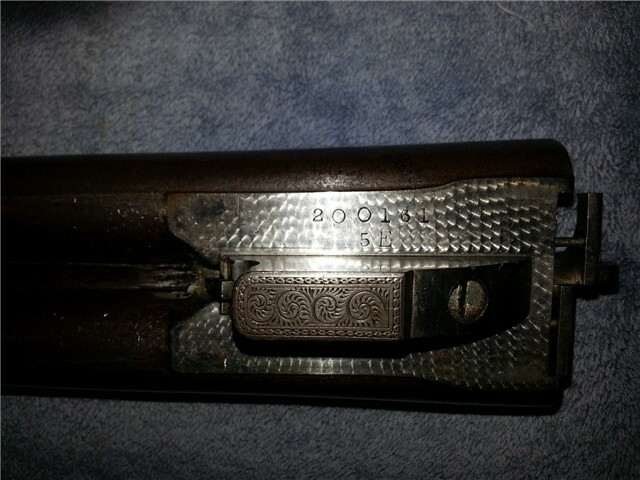 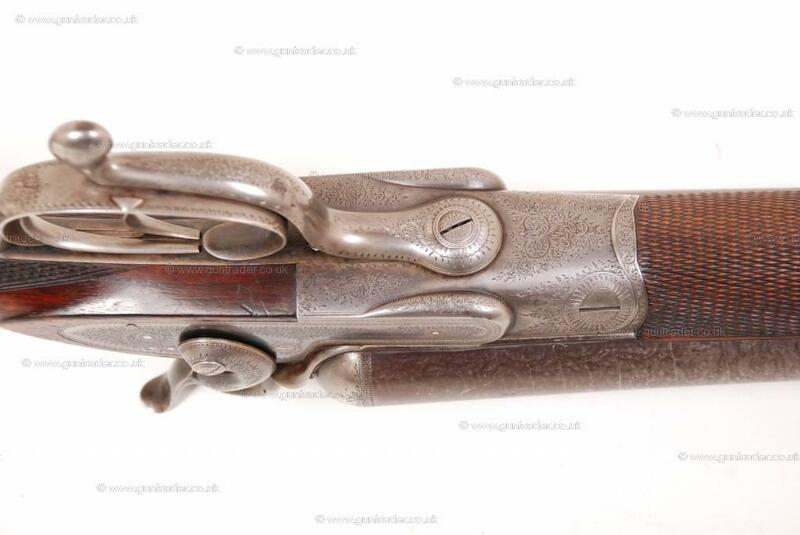 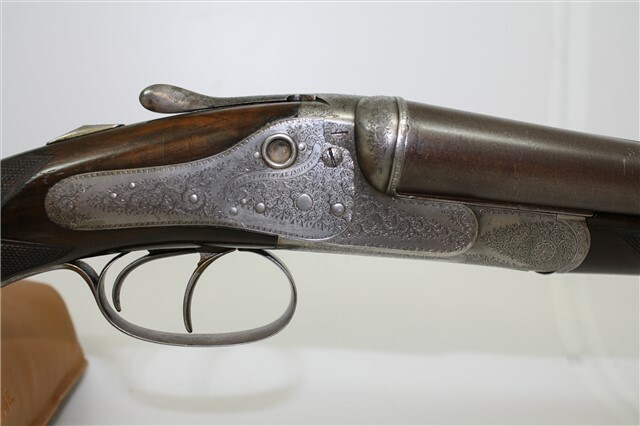 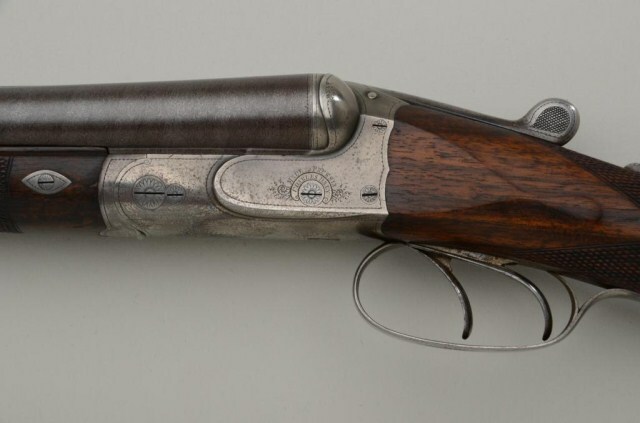 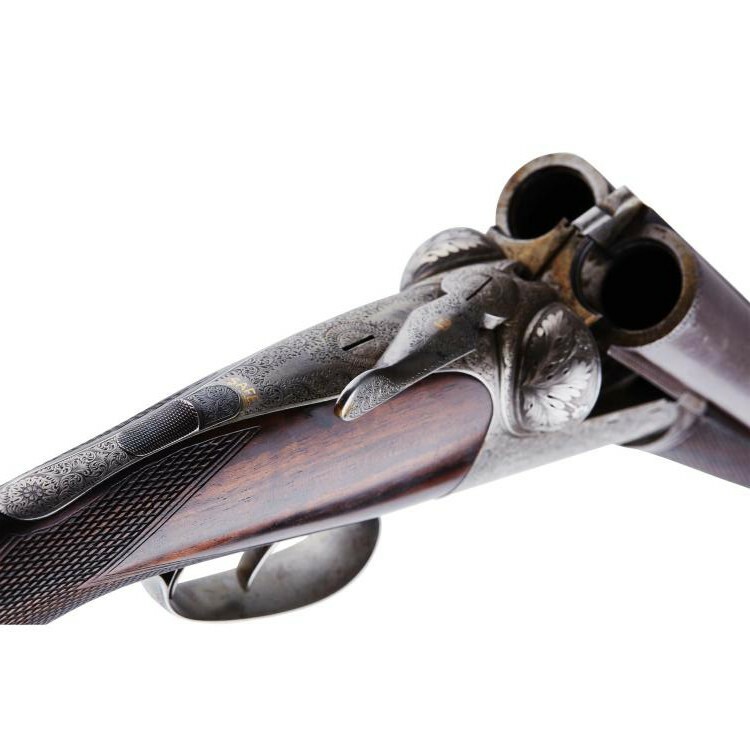 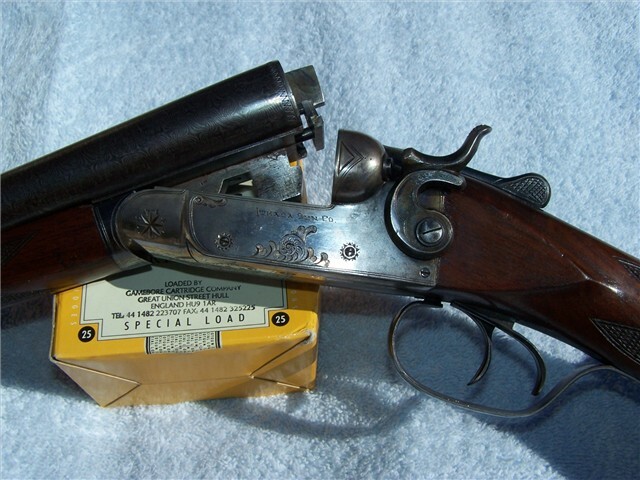 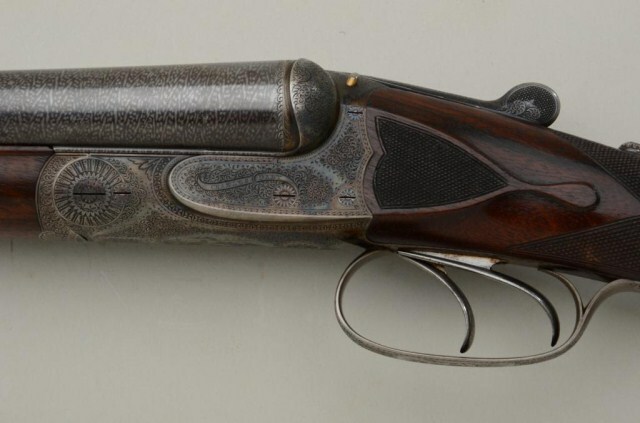 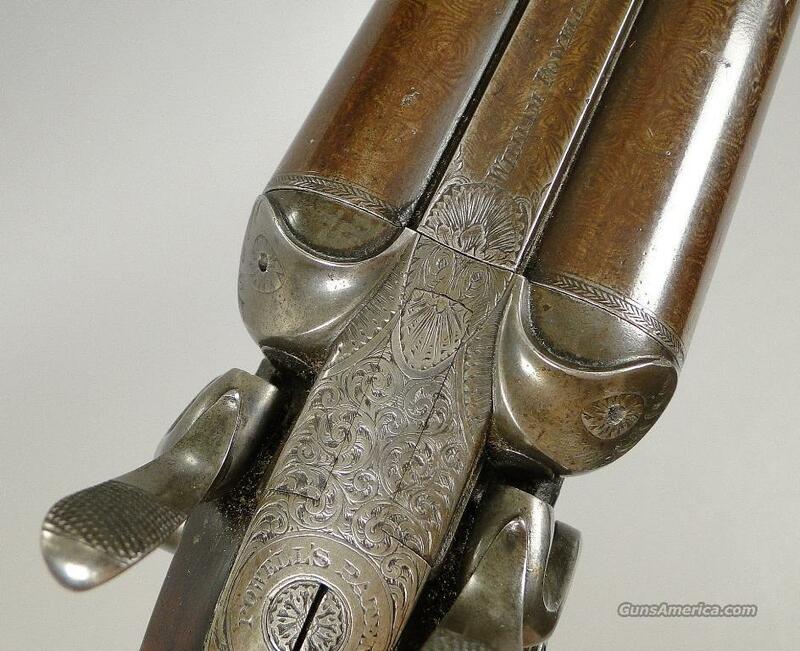 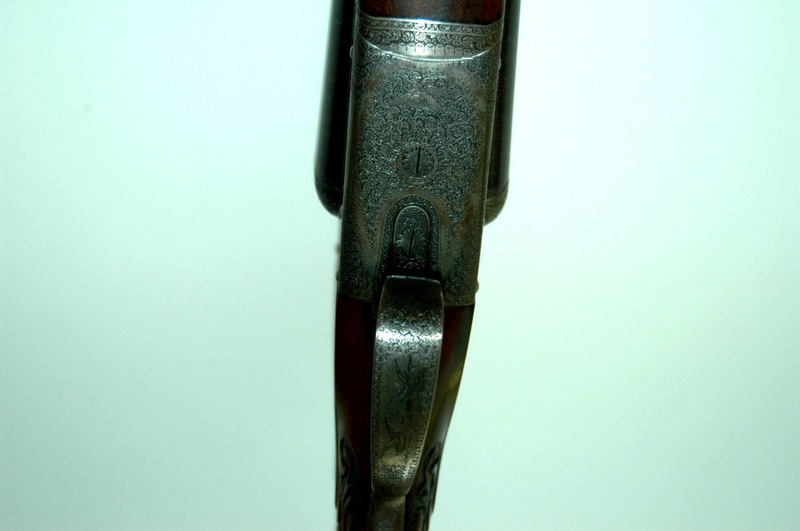 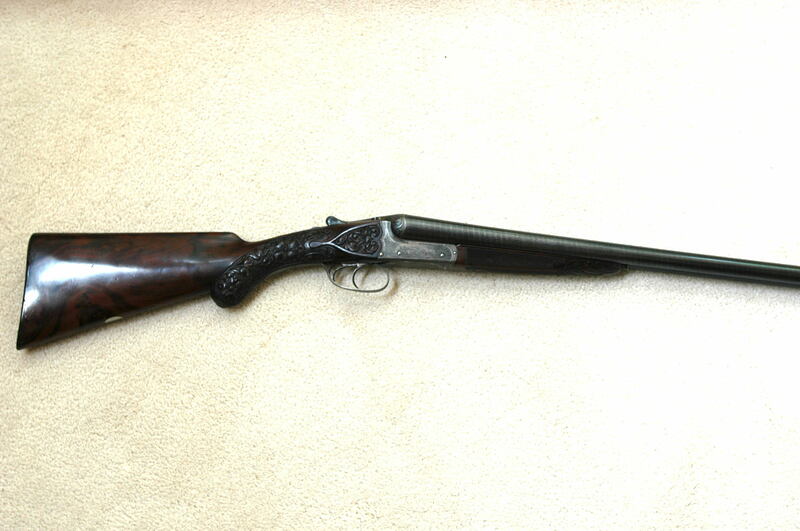 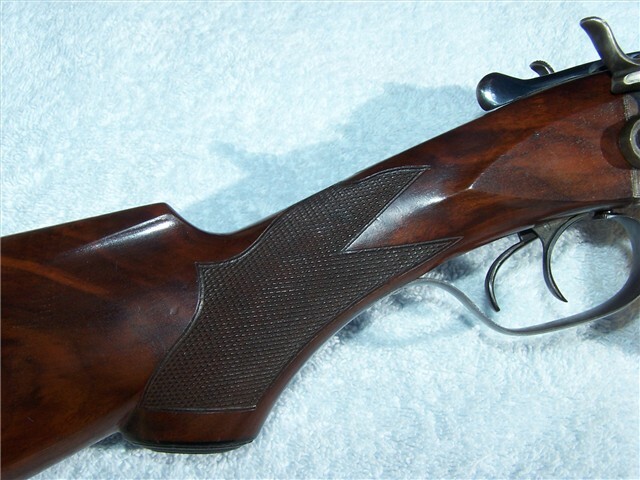 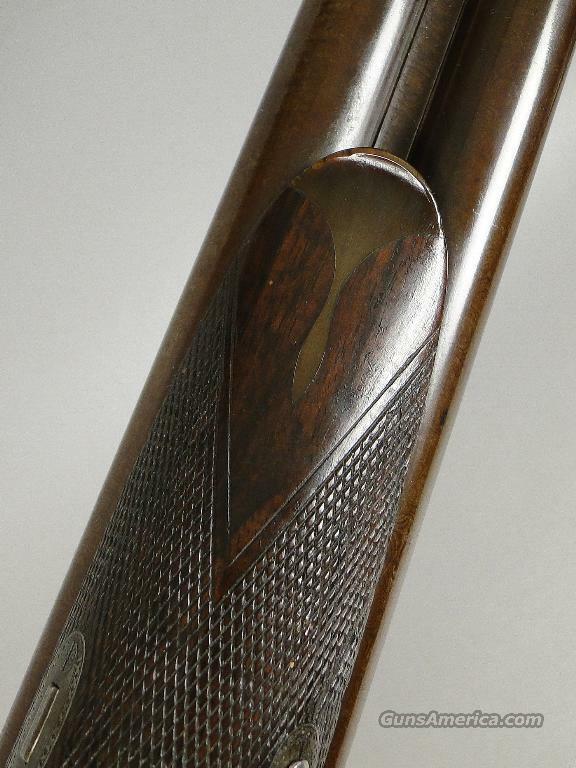 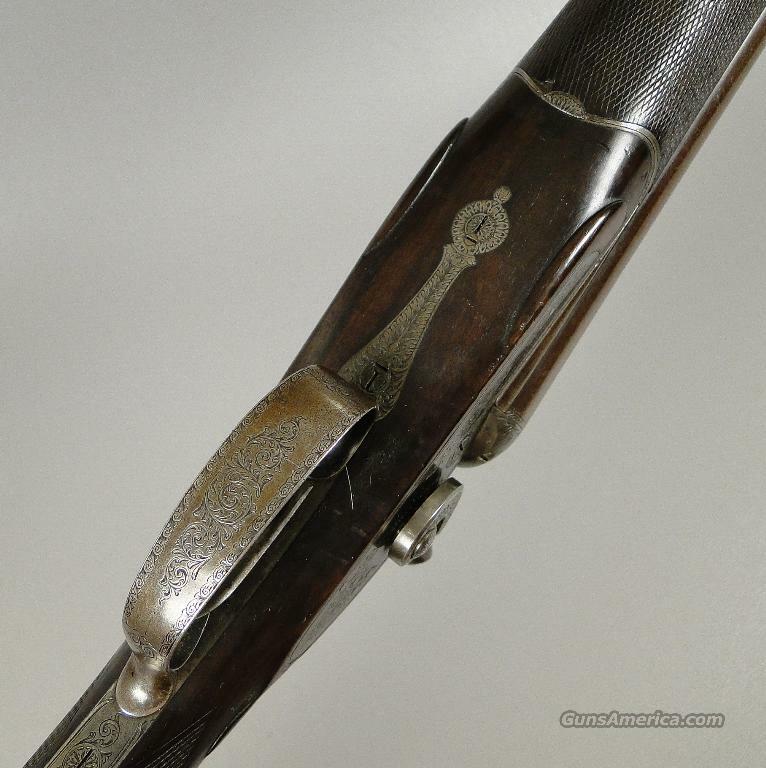 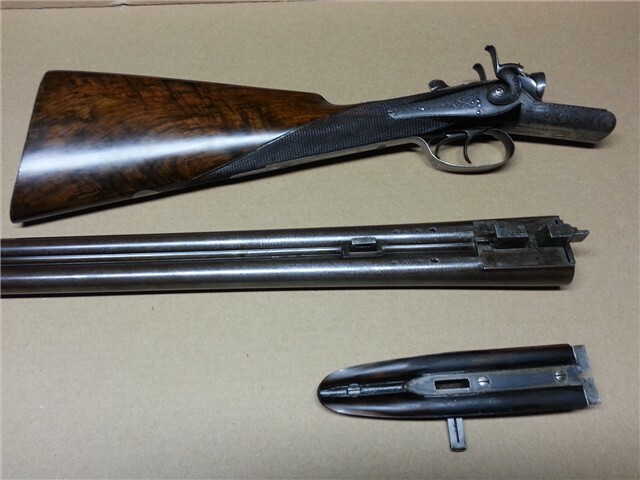 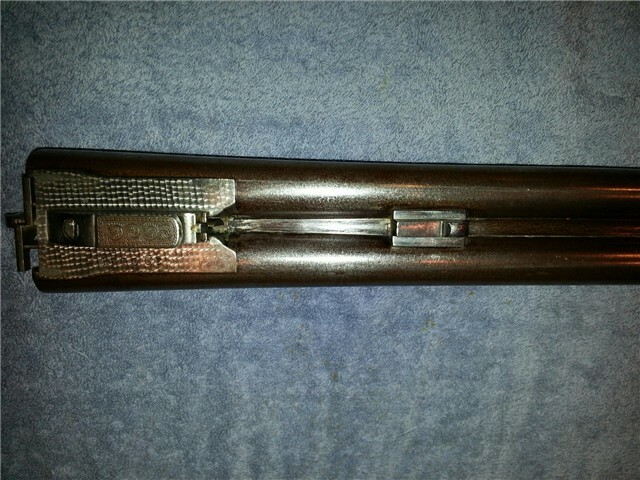 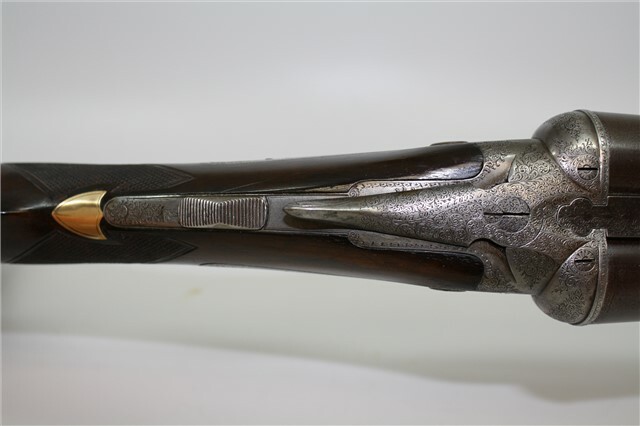 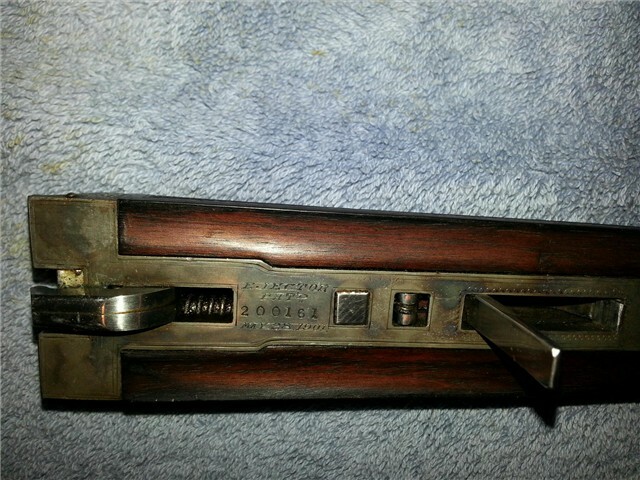 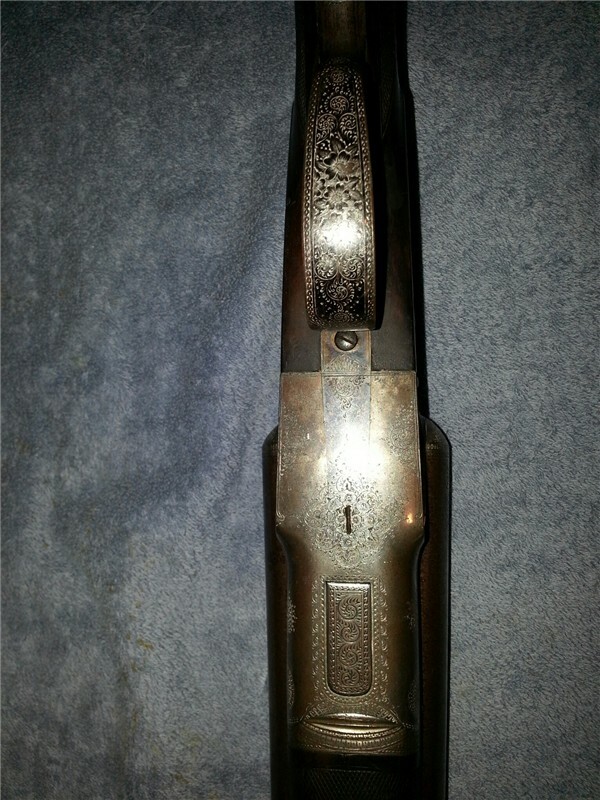 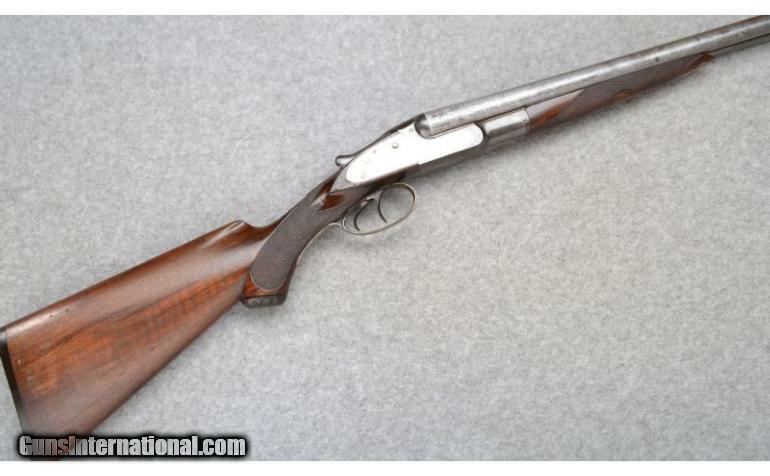 The G and H grade were the lower end of the SxS shotguns Lefever made, and they compared to L.C. 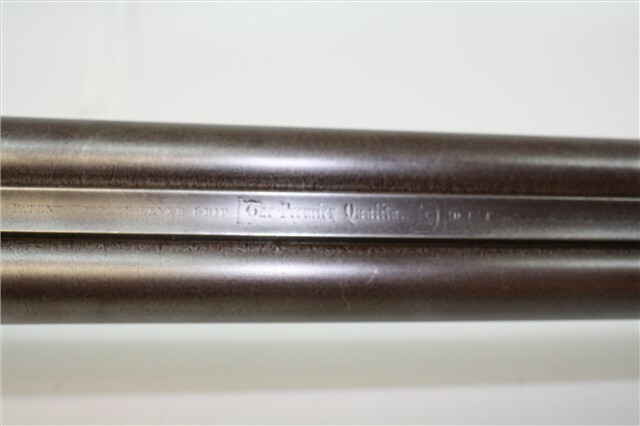 Smith’s #2 and Parker’s GH grade doubles.